With more than 17 years’ experience, Acker directs Community Technology Services for Lennar Multifamily Communities. He works with development teams and consulting firms on service provider selection and infrastructure requirements for data and video. His team also works with internal and external resources to define community technologies and services such as access control, audio visual, and security. Prior to joining Lennar, Acker worked as director of Resident Technology Services for RealPage, Inc., responsible for negotiating all service provider agreements for RealPage clients. 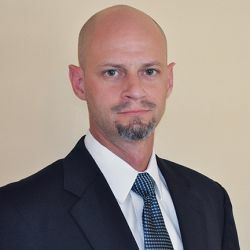 He spent 10 years with Forest City Enterprises, Inc., overseeing Forest City initiatives to implement building infrastructure for service provider and in-house requirements, negotiating service provider agreements, and adding input for wireless coverage, building security, building access control and digital signage. Faith Aids is the lead strategist, steward and champion of both the corporate and individual property brands, overseeing the development and management of brand and marketing communication efforts to support the long-term strategic direction of the organization. Before joining The Laramar Group, Faith spent five years at RedPeak Properties in Denver as the Head of Marketing. At RedPeak, Faith was responsible for all company and property-level branding as well as the digital Marketing strategy. Additionally, she chaired the company's Corporate Social Responsibility program. 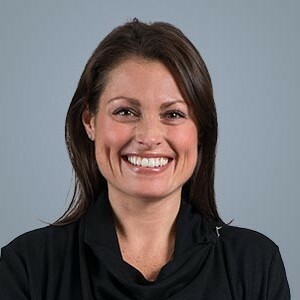 Prior to RedPeak, Faith worked at Carmel Partners for seven years where she held various National Marketing positions including Sales and Systems Trainer, Marketing Specialist and Regional Marketing Manager. Lecia brings 25 years of multi-family management expertise to JVM. Prior to joining JVM, Lecia worked at AIMCO for 15 years most recently as the Vice President of Operations for their Western Division where she managed 5 Regional Managers, 4 General Managers and a portfolio of 37 conventional and affordable communities in Illinois, Indiana, Minnesota and Missouri. Lecia gained experience on site as both a Property Manager and Leasing Consultant when she began her career. Lecia is an Accredited Real Estate Manager, (A.R.M.) and holds an Illinois Real Estate Broker’s License. As CEO and Founder at Digital Mortar, I lead all aspects of our growth and development. Digital Mortar provides cutting edge measurement and analytics tools for optimizing physical spaces. We specialize in tracking the in-store customer journey and helping optimize store layout, merchandising, and staff performance. Previously, I managed EY's Digital Analytics Center of Excellence. Our practice delivers cutting edge digital analytics to optimize digital marketing spend, Web and mobile customer experiences, and personalization and database marketing opportunities. 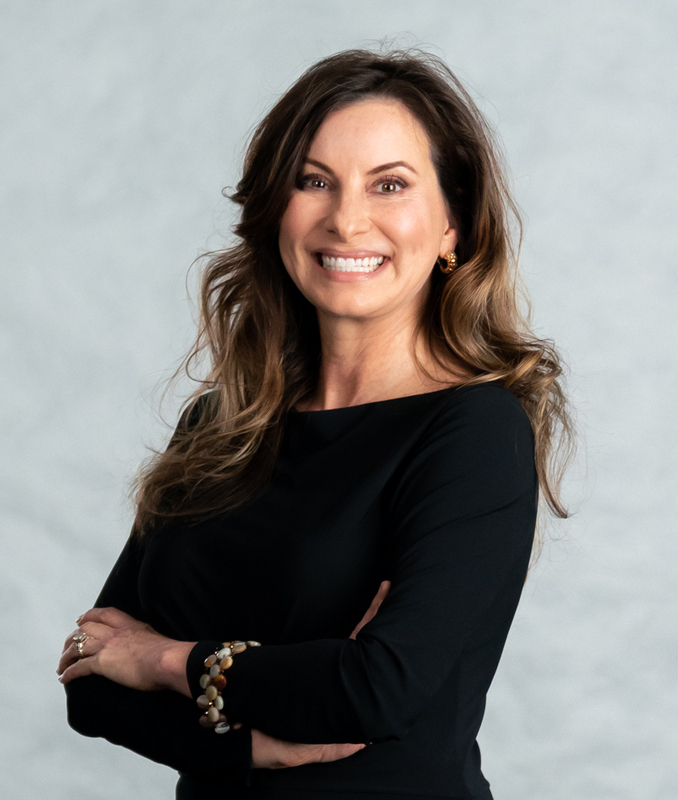 Melise has been with MG Properties since June 1998 and has over 25 years of experience in multi-family property management and condominium conversion. She has managed and overseen multifamily portfolios of up to 12,000 apartment homes throughout the western United States, which included properties as large as 1,100 units. 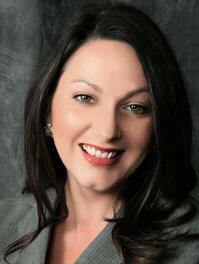 Melise is a Certified Property Manager with the Institute of Real Estate Management. 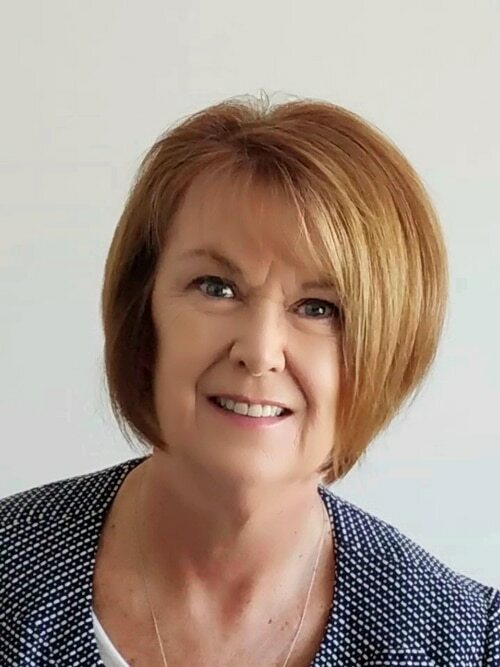 She is a member and instructor with the San Diego County Apartment Association, the California Apartment Association, the National Apartment Association and the North County Managers Association. Frank is the CEO and Co-Founder of UpTop, the first free end-to-end platform that combines a rental listing search tool and a full property management software to streamline the way renters and landlords, owners and property managers work together for the entirety of the renting lifecycle. 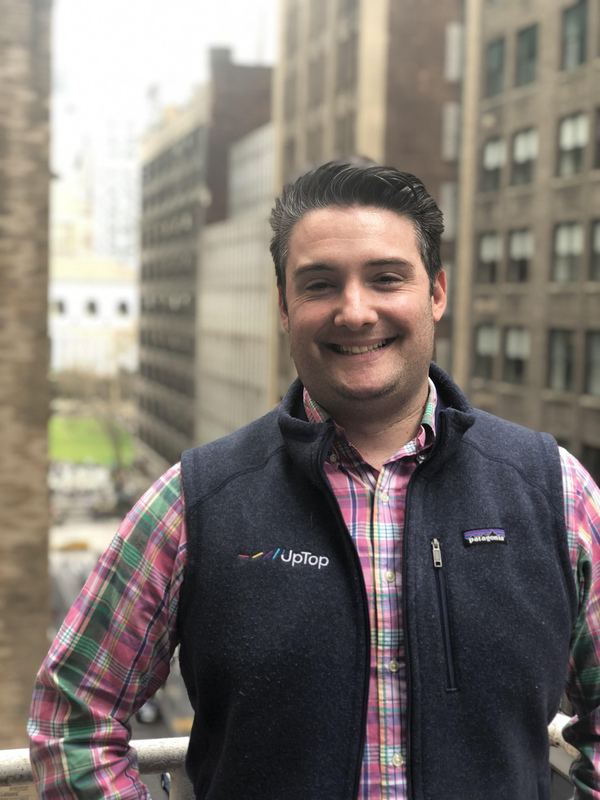 Before starting UpTop, Frank has extensive experience in the technology space, working for several firms heading their technology operations within the consulting, finance, media and e-commerce spaces. Frank brings extensive experience in leadership, technology, and entrepreneurship. Michael Barlow is the Co-founder & CEO of Fernish, a furniture-as-a-service company that creates flexibile, sustainable, and personal home experiences. Prior to starting Fernish Michael was the Vice President of Atom, a ticketing technology start-up based in Los Angeles. Michael started his career as an investment banker at J.P. Morgan Securities in New York. For more than 35 years, Joseph Batdorf has enhanced the multifamily industry with path-breaking solutions that impact a company’s bottom line. 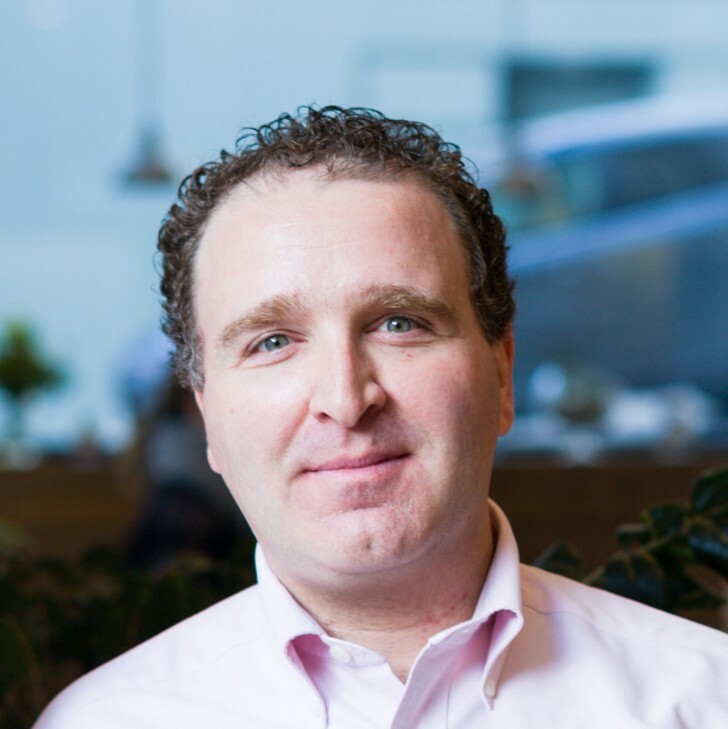 He co-founded J Turner Research in 2003, the leading full circle online reputation management firm that empowers clients with data to drive revenue. Joseph’s contributions include: prospect surveys, monthly resident satisfaction surveys, TALi index, and more recently, the nationally recognized ORA™ score—the industry benchmark to measure a property and/or company’s online reputation. Batdorf is a prolific speaker who has presented at various industry and leadership conferences –NAA, NMHC, AIM and Multifamily Executive among others. He serves on the Houston Better Government Fund. 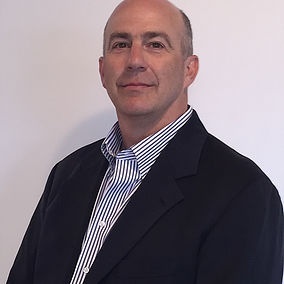 Principal, D2 Demand Solutions, Inc.
John is a Senior Vice President and Asset Manager in Heitman's North American Portfolio & Asset Management group. He is involved with one of Heitman's large separate account clients. 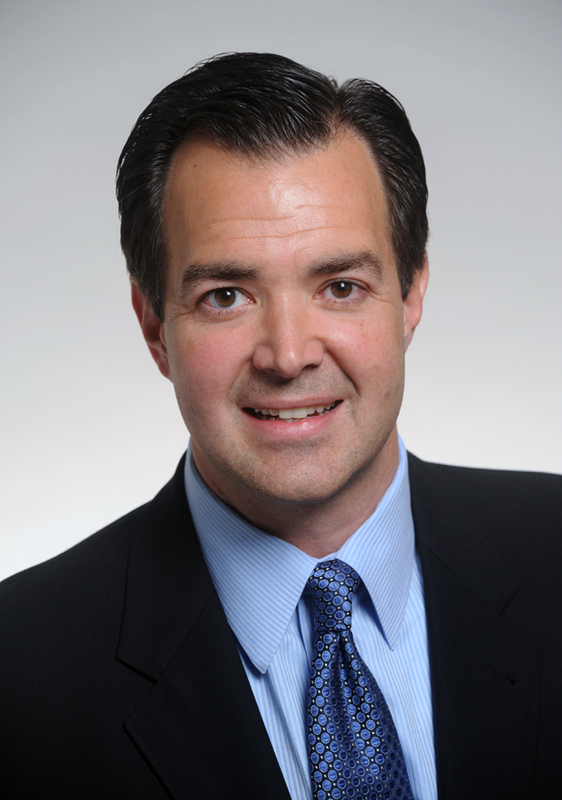 Prior to joining Heitman, John spent 13 years at GE Capital Real Estate in various roles. 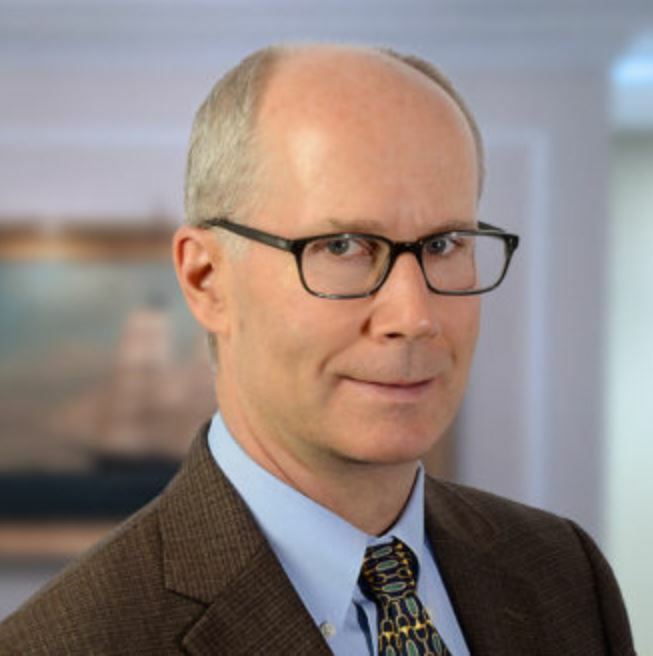 John began his career with KPMG's real estate tax and consulting group, where he focused on large private and public real estate companies over his six year tenure. His experience includes originating, negotiating and closing debt and equity deals; underwriting; dispositions; development; risk management; portfolio management and new business development. John received a BS in Accountancy from the University of Illinois at Urbana-Champaign and is a CPA. As a Group Product Manager at AppFolio, Charlotte works closely with property management industry experts, customers, and the product development team to bring innovative products and services to market. She believes in the power of customer-centric development - first developing a deep understanding of the problem and then using the right technical tools to work iteratively on the solution. She currently focuses on AppFolio Property Manager PLUS, an end-to-end solution for property management businesses at scale. 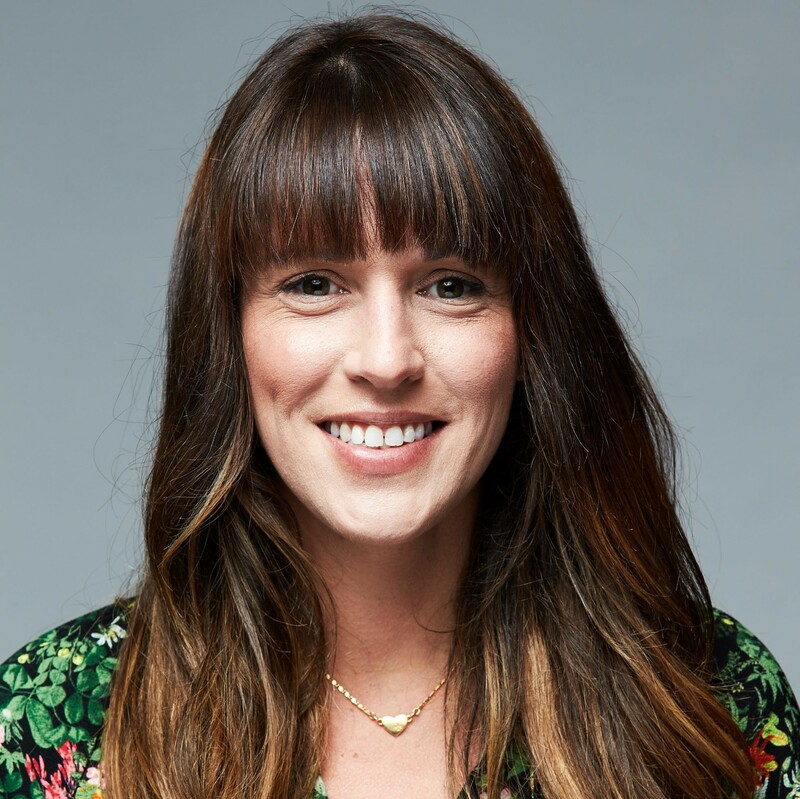 Prior to joining AppFolio, Charlotte was a consultant at Accenture focused on helping large retail and hospitality customers provide exceptional digital experiences. 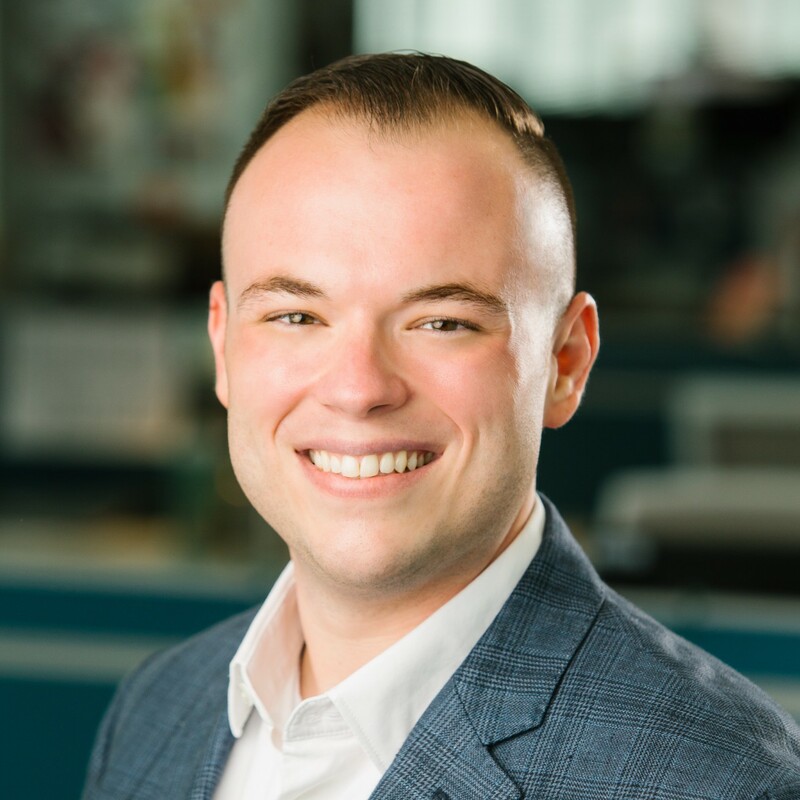 As Vice President of Digital Strategy at The Bozzuto Group, Ben leads the research, design, and implementation of enterprise-wide digital marketing strategies. 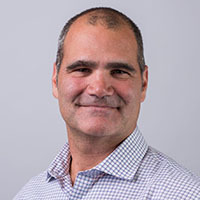 Benjamin's core responsibility is leading the companies customer acquisition (SEO, PPC, Email, Display, Retargeting, Social etc) analytic measurements and marketing technology across the multi-division organization. Benjamin Burns began his career as an SEO coder over a decade ago in England, working his way into managing all aspects of customer acquisition channels and analytics. This led to his involvement with numerous start-ups, consulting as head of growth and eventually overseeing digital strategy for mid-large corporations such as Marriott International Hotels. Co-Founder of Apt. App, resident communication technology that streamlines communication with neighbors, property staff & the surrounding community, comes to the multifamily industry with a resident first approach driven to make multifamily living smart, easy & accommodating. 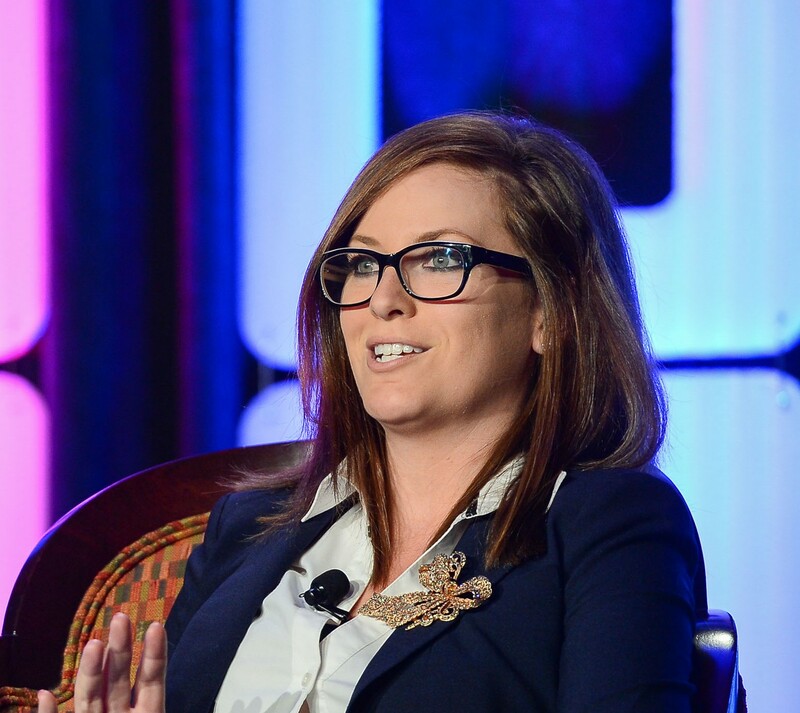 Melanie participates on a number of committees with the NAA and local multifamily and business groups to have a positive impact on the multifamily industry as a whole and advocate for continued growth and innovation across the market. 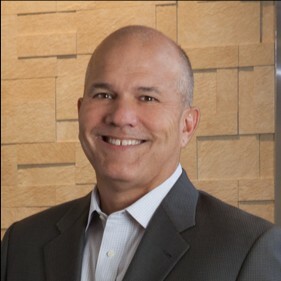 Jerry A. Davis originally joined the company in March 1989 as Controller and subsequently moved into the Operations arena as an Area Director. In 2001, Mr. Davis accepted the position of Chief Operating Officer of JH Management Co., a California-based apartment company. He returned to UDR in 2002 and was promoted to Vice President, Area Director in 2004, where he oversaw operations in California, Washington, Oregon and Arizona. In 2007, he was promoted to Senior Vice President – Property Operations, responsible for company-wide property operations. 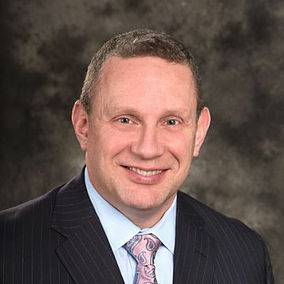 In 2013, he was promoted to Chief Operating Officer and in 2019 was also named President. Prior to joining the company, Mr. Davis was with Crestar Bank as a Financial Analyst from 1986 to 1989. He began his career in 1984 as a Staff Accountant for Arthur Young & Co. Mr. Davis holds a Bachelor of Science degree in Accounting from The College of William & Mary. Mr. Davis sits on the Executive Council of the National Multifamily Housing Council. 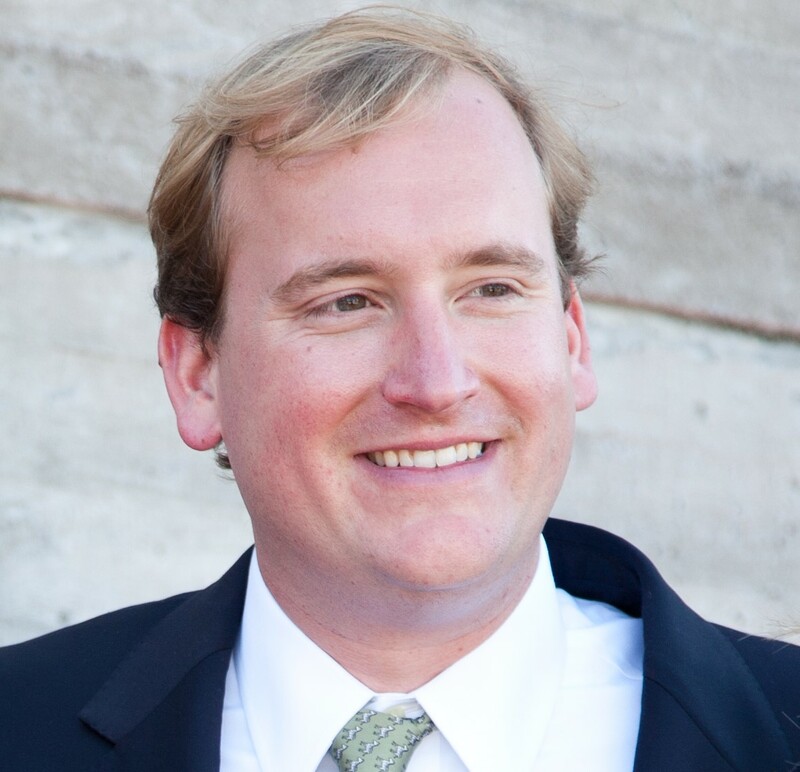 Ryan Davis is an innovative leader with experience in growing digital revenue streams. Previous to joining RentPath, Ryan headed the development of an advertising and content platform at The Weather Channel that focused on localization. The platform now boasts thousands of advertisers and a reach that expands into more than 100 local markets. 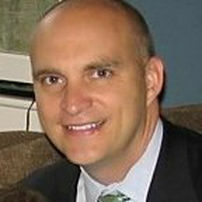 Previously, while President of Philly.com, Ryan led the company to become the fastest growing news and information site in the world, according to Nielsen. Ryan, a former McKinsey & Co. high-tech media consultant and journalist, holds a BS in Journalism from Northwestern University, as well as an MBA from the University of Virginia’s Darden Graduate School of Business Administration. 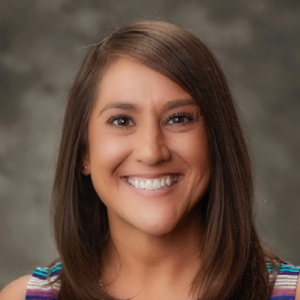 Ashlee DeWalt, started her career in 2002 as a leasing consultant for a student property while attending Sam Houston State University in Huntsville, TX, where she double majored with a Bachelor of Fine Arts in Broadcast Production and Journalism. After graduation, Ashlee moved to California where she worked as a freelance video producer/editor for World of Wonder Productions, local News Anchor/Reporter, while still pursing her career in the multi-family industry as an Assistant Manager. 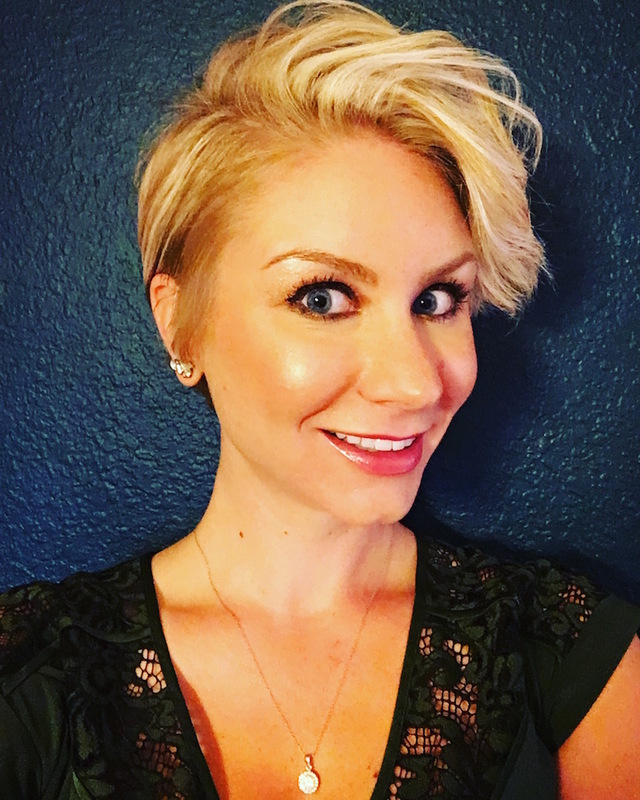 After moving back to Texas in 2008, she pursued a full time career in the multifamily and student housing industry, where she was able to mold her two passions together by creating a YouTube channel where she produces and edits her own Apartment Training Videos, and pursued speaking at a national level to other industry professionals at the NAA Student Housing Conference, Multifamily Pro Annual Brainstorming, Houston Apartment Association, and at AIM 2019. In 2018, her property won The Houston Apartment Association Property of the Year. 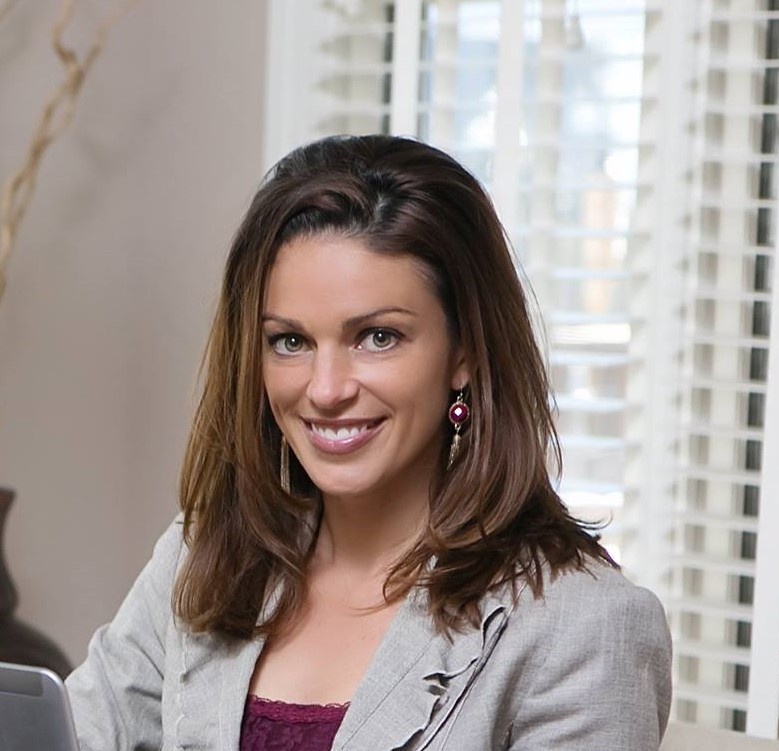 Her marketing expertise spans across 15+ states from where she has proven results as a successful Lease Up Specialist. 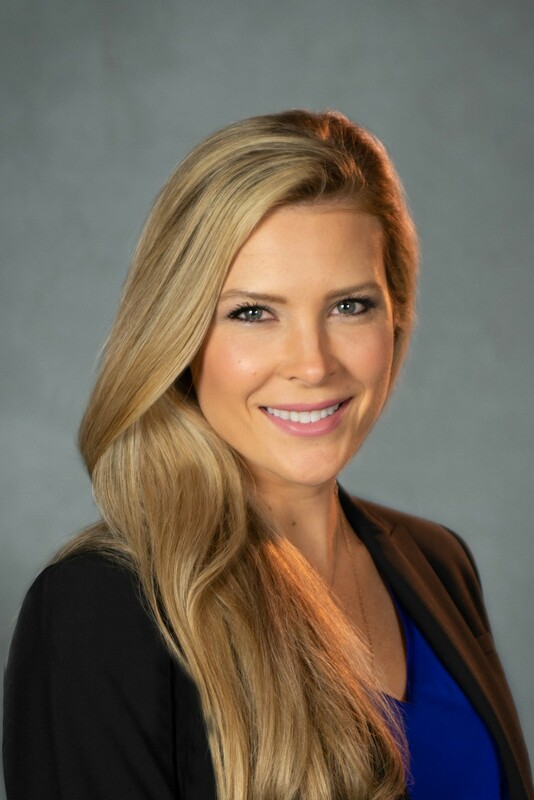 In March, she joined Nova Asset Management, a Houston-based management company with 5,000+ units where she oversees various marketing strategies that include SEO/ SEM, digital marketing campaigns, Virtual Reality Tours with headsets, property websites, data analysis, reputation management and the training and development of their teams. 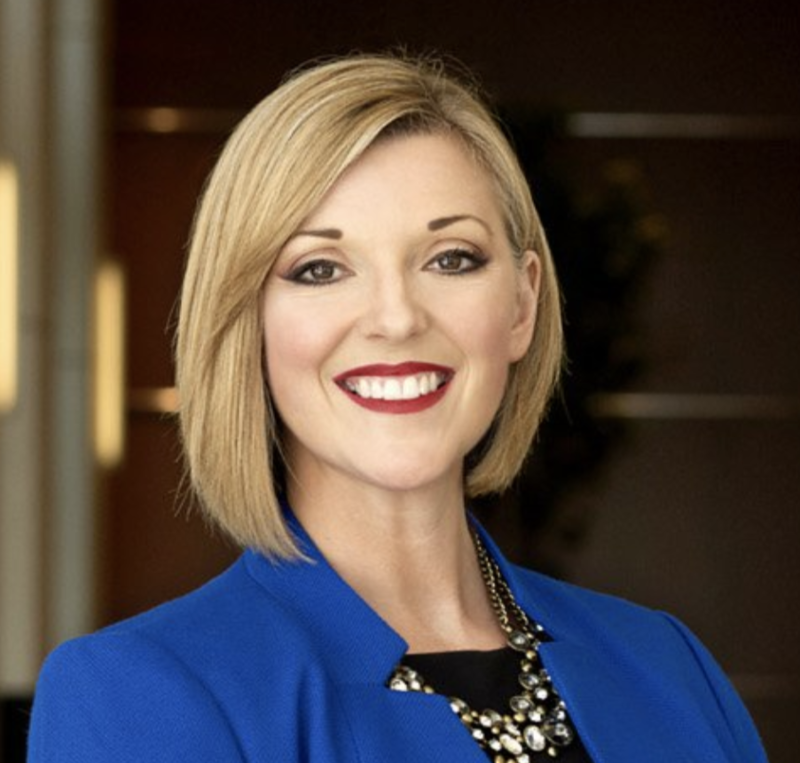 From Consumer to Primary Insurance, Reinsurance Intermediary, and Reinsurer, Karly Doble has been on all sides of the Insurance transaction. Though her profession has always been in the risk and reinsurance world, her heart has always been in helping people. She joined the team at Eusoh believing it would be the perfect place for her heart and profession to align. Karly earned her Bachelor of Arts in Business Management, minoring in both Mathematics and Economics at the University of Puget Sound. From there, she fell into the world of risk and continued her studies to become an Associate in Reinsurance as well as an Associate in Insurance Services. Over the last 15 years, Karly has worked with over 100 insurance and reinsurance companies to manage and diversify risk in various capacities for companies such as Travelers, FM Global, and Marsh and McLennan Companies. She thrives on the task of making the seemingly impossible, possible and finding creative ways to make the world a little bit better. 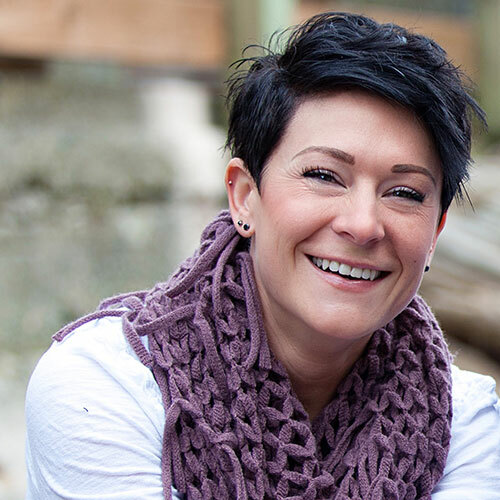 Karly and her husband live in the Seattle area and find balance through their devotion to their kids, recreational sports, and volunteering. Julie Ellison, based in Dallas, is a National Marketing Manager for Greystar responsible for leading all efforts in branding, communications, reputation management, social presences and advertising as well as executing all marketing strategies for Greystar’s newly developed and owned assets. Ellison is a nationally accomplished expert in all aspects of marketing, from pre-construction through lease up into stabilization with over 10 years of experience. Ellison has received awards from the Apartment Internet Marketing Conference for Video Marketing. 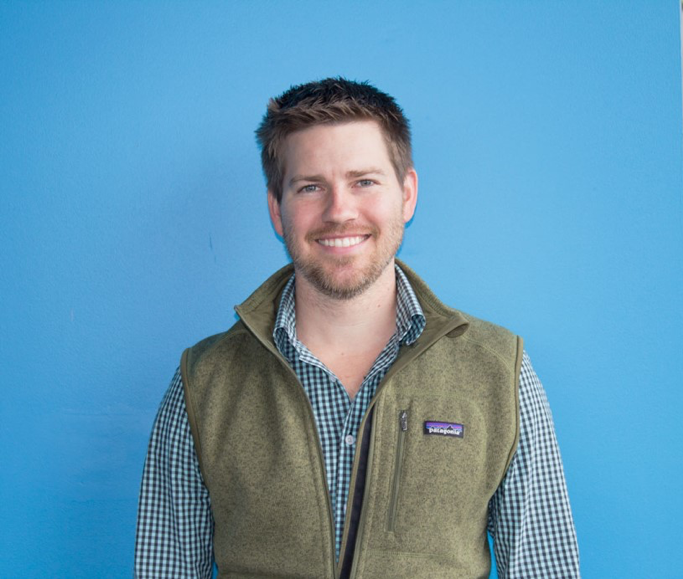 Chris Erickson is COO and co-founder of Apartment List where he leads the Design, Product, Engineering, and Growth teams to help renters find homes they love. Chris believes passionately that excellent products are built through establishing real empathy for users, and solving their pain points through a combination of great UX and cutting edge data analytics and technologies. Prior to Apartment List, he spent six years with The Boston Consulting Group. 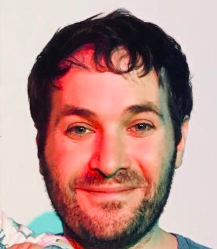 Chris holds a bachelor’s degree in computer engineering from Northwestern University, as well as an MBA from Stanford University. 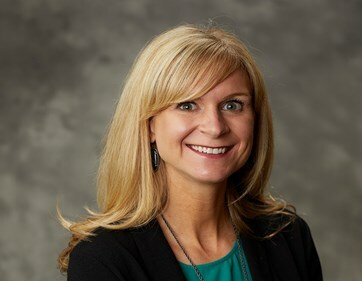 Kristi Fickert is the Vice President of Marketing and Training at 30 Lines, a full service digital marketing agency that services both multifamily and other industries. She has 20 years of multifamily experience, including 15 years as the Senior Marketing Director with one of the Top 50 Management companies, where she oversaw all aspects of leasing, marketing and training for a portfolio of 35+ communities nationwide. Her expertise includes lease-up, urban, suburban, mixed use and repositioned assets. 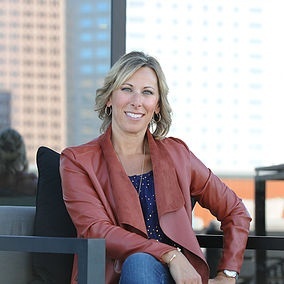 She has presented and hosted training sessions for apartment associations in Cincinnati, Columbus, Dayton and Washington D.C. in addition to presenting for Multifamily Insiders, AIM, MultifamilyPro and has also been a featured speaker for the Cincinnati Reds, Urban Land Institute and Commercial Real Estate Women. Christie Fleck Privette has enjoyed more than 25 years in the marketing industry helping others build their brands and businesses through wide-ranging research, planning, design, analysis and swift implementation. She has held multifamily executive roles on both the client and vendor side and understands all facets of the industry uniquely and thoroughly. Today, she is the Founder & head of Two17 Marketing, a boutique marketing agency located along the sea in sunny Virginia Beach. There, she and her qualified team of blogging, designing, strategic planning marketing geeks (many of whom have worked together for years) service the multifamily industry and dozens of other businesses outside of the apartment world. Before creating Two17 Marketing, she was at Harbor Group International overseeing the strategic marketing efforts for 4 Billion in assets, 27,000 units in 21 states, and two countries, and before that, at ForRent.com overseeing all national marketing efforts. 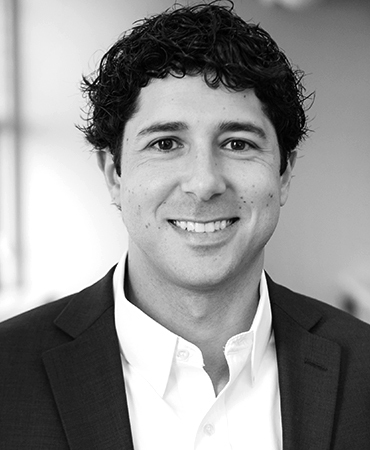 Damon Gacicia, Head of Supply at Urbandoor, brings deep knowledge and experience in multifamily leasing and marketing for both furnished and unfurnished strategies. Previously, Damon worked at MyNewPlace.com until it was acquired by RealPage where he went on to run business development for LeaseStar, RealPage’s leasing and marketing solutions. 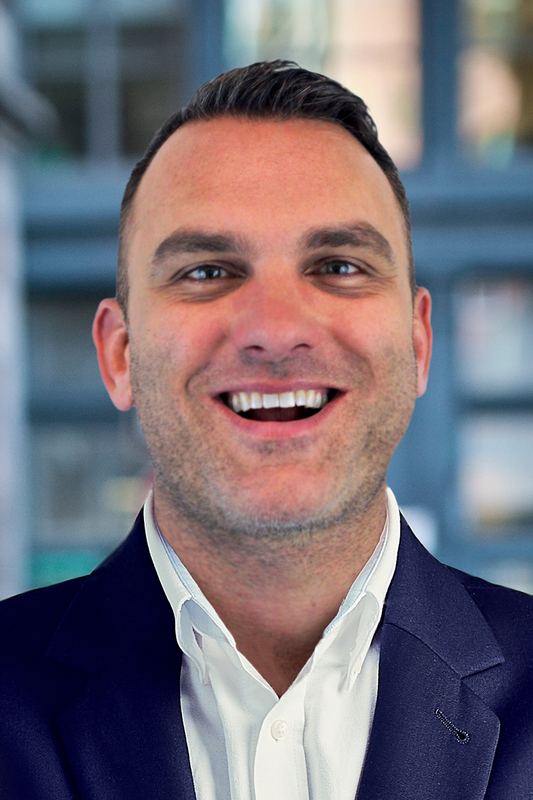 Today, Damon leads supply acquisition and management for Urbandoor. Urbandoor’s mission is to effortlessly connect professionals with their right apartment every time, anywhere. Operating in over 1300 markets globally, Urbandoor gives multifamily operators and corporate housing companies direct access to professionals relocating or working on an extended assignment or project. It gives businesses a duty of care compliant solution for extended lodging by only offering professionally managed apartments through their online marketplace — no private homes or hosts. More and more people want to stay in a place of their own, even if temporarily. 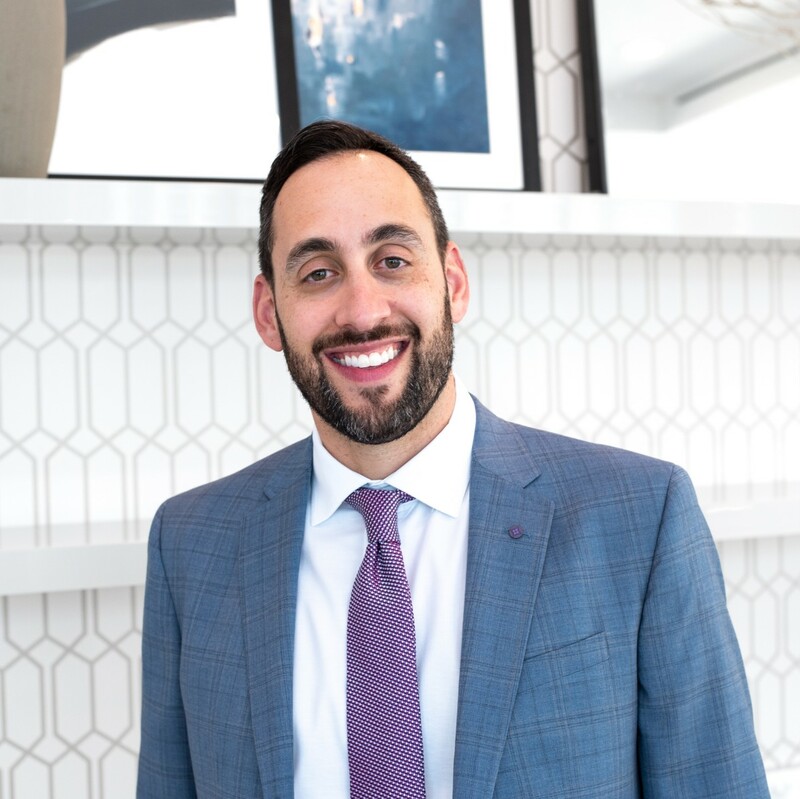 Aaron Galvin is the CEO & Founder of Luxury Living Chicago Realty, a development-focused real estate brokerage offering the highest-level service experience in the apartment and for-sale real estate industry. Galvin manages a team of Realtors responsible for over $350 Million in rental volume and over $100M in sales volume in downtown Chicago. LLCR has also consistently been named to the Inc. 5000 as one of the 50 fastest growing real estate companies in America. 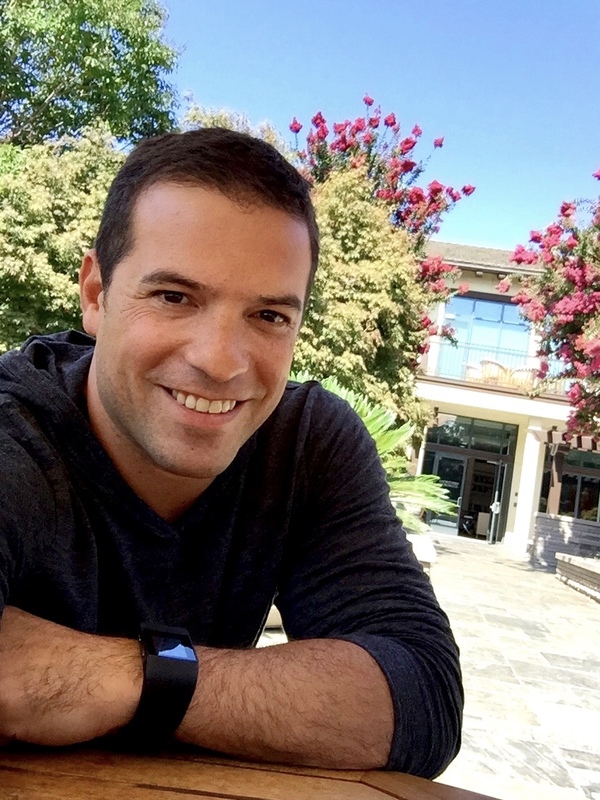 Anthemos Georgiades is the co-founder and CEO of Zumper, the largest residential rental startup in the US with $90 million raised and over 11 million visits each month. Zumper's mission is to make renting an apartment as easy as booking a hotel. Before Zumper, Anthemos worked for The Boston Consulting Group in London and NYC, and as an Economic Advisor on the 2010 British election. He has a BA from Oxford, an MPhil from Cambridge, and an MBA with Distinction from Harvard Business School. Susan is the Director of Brand Management at Milestone Management. She is responsible for the development and implementation of marketing initiatives to include branding, customer engagement, and reputation management on a diverse portfolio comprised of more than 75,000 units throughout the U.S., which includes stabilized and lease-up assets, conventional, affordable, and student communities. She has 14 years of industry experience and successfully infuses new media throughout the portfolio, capitalizing on digital, social, and content marketing. Susan possesses an exceptional aptitude for identifying strengths, acknowledging opportunities for development, and crafting strategies that fulfill and advance The Company’s vision. Her approach to develop operative campaign tactics are intensive on relationship and customer experience branding methods, with an emphasis on delivering superior levels of service to both internal and external customers. Colby began his career in Property Management onsite in 2002 before stepping into a role in Learning and Development with Equity Residential. His time as a Learning and Development professional at Equity helped him understand the intricacies of leadership, communications and large scale organizational change. 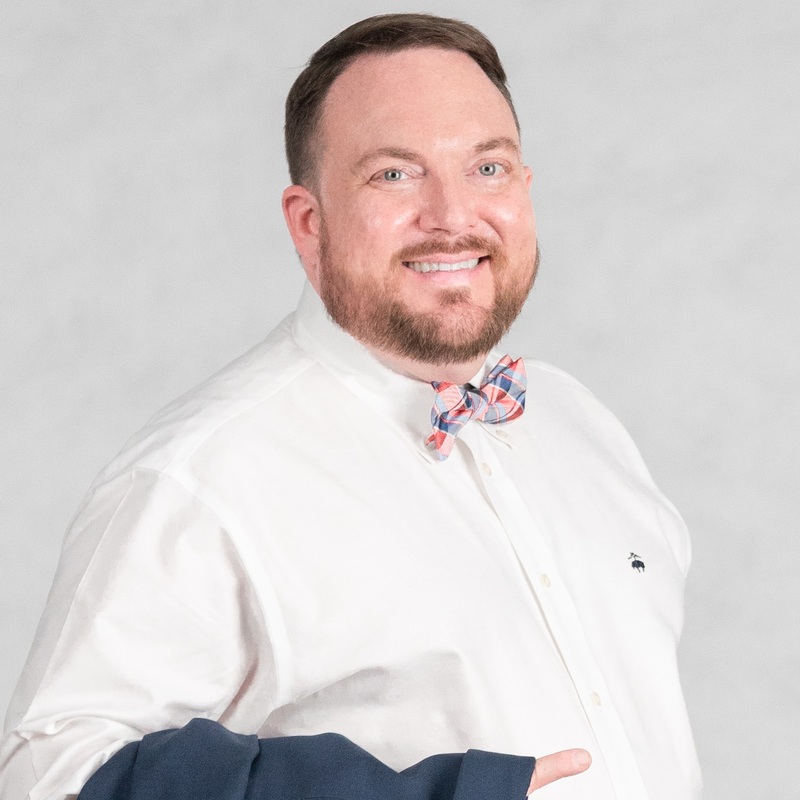 In 2011 Mr. Hansen discovered his passion for Digital Marketing and had the unique opportunity to transform Weidner Apartment Homes digital presence from a basic informational website, to a full-service customer experience. In addition to the website transformation at Weidner Apartment Homes, he led the Pay-Per-Click efforts where he established Weidner as a marketing firm with Google, secured a monthly line of credit with Google, and managed Pay-Per-Click spend with a budget of approximately $1M annually. Mr. Hansen is a United States Navy veteran, graduated from Navy Nuclear Power School and has certifications from the DOD & DOE as a nuclear operator and radiological worker. He is a certified instructor with NAA and the Washington Multi-Family Housing Association. John is the Managing Director of a venture capital investment firm located in Park City, UT that is focused on investing in companies that provide technology and services to the real estate industry. The firm’s strategic partners include several major REITs and private owner/managers of multifamily properties. John also serves on the boards of Nestio, a Trinity Ventures backed company, and Next Gear Solutions, a Serent backed company. Before founding RETV, John was a Venture Partner with DN Capital in Europe from 2012-2016 where he co-invested in 13 deals including Auto1 (Series A), which had revenues in 2016 of over $1.5B and a valuation in excess of $2.5B, and PurpleBricks (Series Seed), a UK online flat fee residential brokerage company which went public in 2015 and is also currently valued in excess of $1B. Previously he was the founder and CEO of two venture backed startups in the online real estate space in the U.S.. He sold his most recent company, MyNewPlace to RealPage (NYSE:RP) for $78.5 million in the summer of 2011. Under John's leadership, MyNewPlace grew by competing successfully with five well entrenched competitors to become the second highest traffic apartment rental website in the U.S.. John was also the founding CEO of AllApartments/SpringStreet, which became the number one apartment rental and relocation site on the Internet before its sale to Homestore in 1999 for $150 million, in a private to private transaction immediately prior to the combined entities IPO. 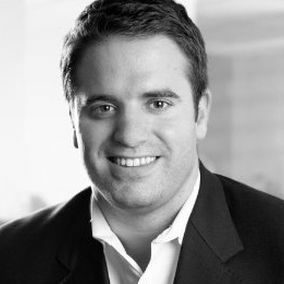 Scott Hill is the Executive Chairman and Co-Founder of PERQ, a B2B marketing technology company established in 2001 (www.perq.com). His focus on solving consumer engagement has led to the success of PERQ’s Marketing Cloud. Powered by artificial intelligence, the Cloud assists consumers shopping online for expensive and complex purchases and services. Today, PERQ serves over 1,000 businesses in the multifamily, home furnishings and auto dealership markets, helping them increase online engagement with consumers to drive more in-person transactions. Scott has launched two Inc. 100 companies and is a proud alum of Harvard Business School. 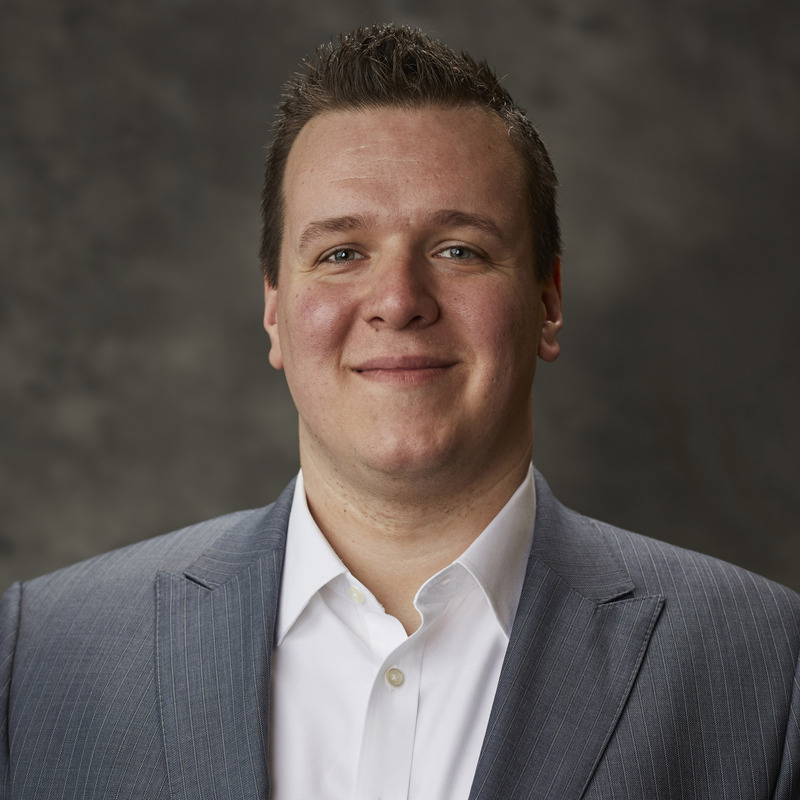 John Hinckley, Cofounder and CEO at Modern Message, has spent the past 9 years creating web-based marketing solutions for student housing and multifamily. Currently, Mr. Hinckley spends his time leading Modern Message which is best known for it's loyalty marketing solution called Community Rewards. With a successful track record in technology startups, he is dedicated to the advancement of new ideas and concepts in the apartment industry. Mr. Hinckley is a graduate of Baylor University and resides in Dallas, Texas. 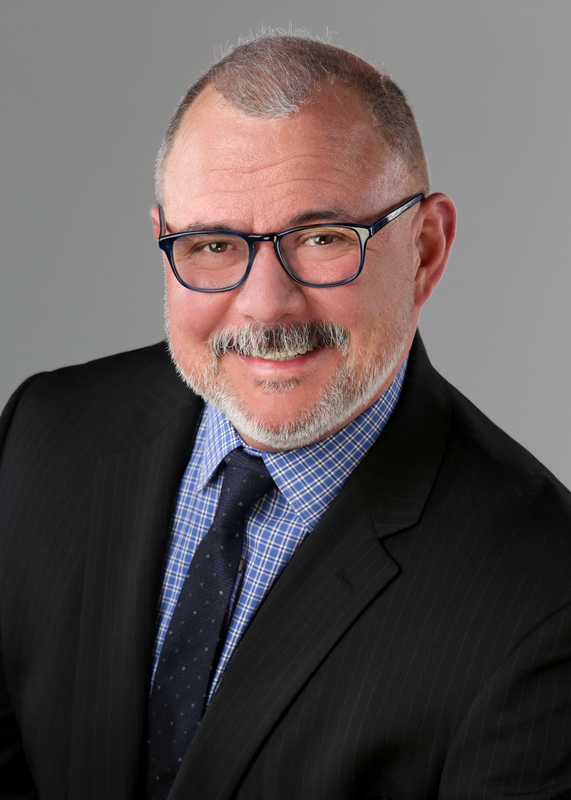 As vice president of strategy for LTM, Peter is responsible for providing strategic guidance on the day-to-day public relations activities of nearly every client of the organization. Supported clients include numerous apartment owner/operators and several vendor clients. In addition, Peter is responsible for supporting clients with crisis communications, strategic marketing initiatives and new business development. Prior to joining LTM, Peter was the director of communications for Archstone, a large Denver-based apartment owner/operators. 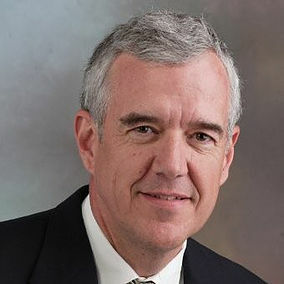 At Archstone, Peter provided strategic guidance and tactical support for public relations, internal corporate communications and reputation management. 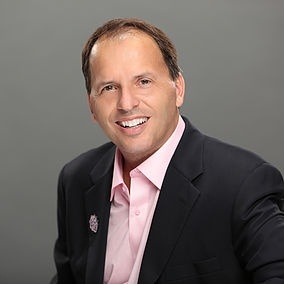 Earlier in his career, Peter served as the head of communications for Einstein Noah Restaurant Group, which owns and operates Einstein Bros. Bagels and Noah’s Bagels. He is also a former sports writer for the Denver Rocky Mountain News and the Boulder Daily Camera. Peter holds a B.A. in journalism from the University of Colorado at Boulder and an MBA with an emphasis in marketing from the University of Phoenix. 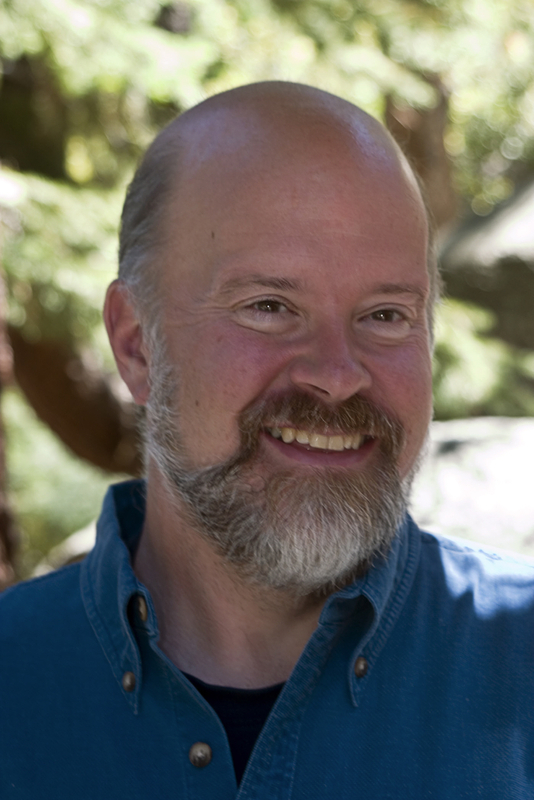 Jones left Travelocity when the company was taken private and became part of the founding team at Kayak.com, a company that yet again revolutionized how travel was purchased. He served as Chairman of the company from its founding until it was sold to Priceline for $1.8 billion dollars in 2013. 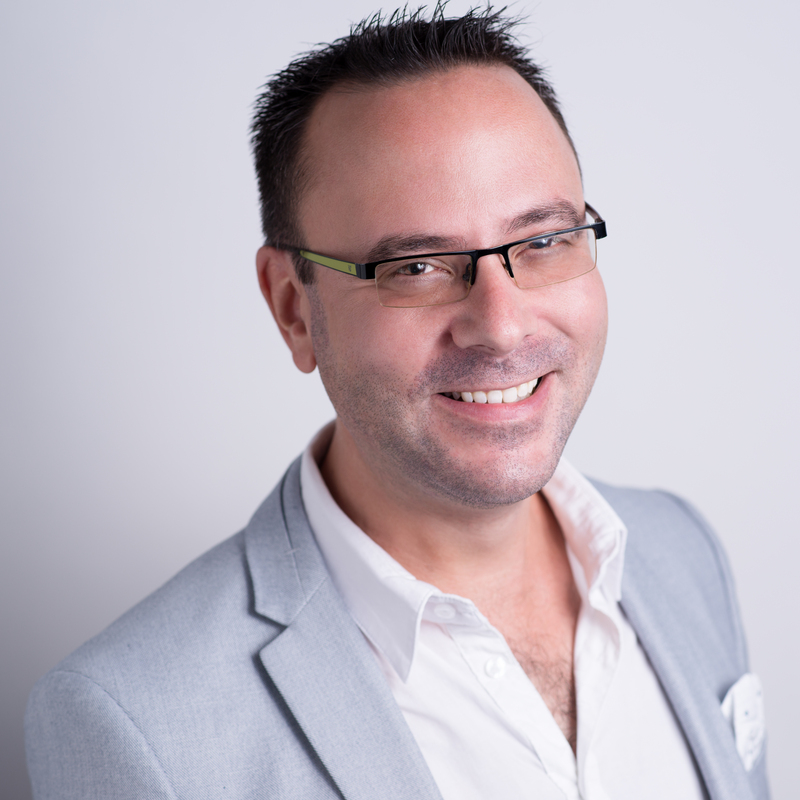 With nearly 20 years of digital marketing expertise, Ken Kasee is a data-driven marketing leader with content and digital marketing savvy trussed with an integrated marketing communications underpinning. Ken has demonstrated success building marketing ecosystems and technology stack from the ground up. Furthermore, Kasee is a proven strategic thinker and thought leader with a track record of success distilling complex data into insights that drive profitability and growth swiftly. Mr. Kasee hold a Bachelor’s in Marketing from The University of Michigan and a Master’s in Psychology from The University of Illinois. 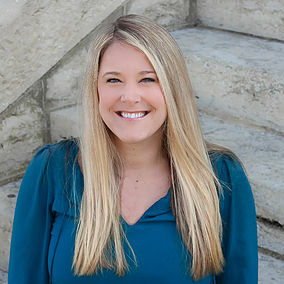 As Senior Brand Manager at Mill Creek Residential, Cassie is responsible for all multifamily-property-related marketing. Responsibilities include on-boarding of new developments, negotiations of national marketing contracts, oversight of Regional Brand Managers, brand engagement and compliance, the national social media strategy, and marketing strategy and execution of national Mill Creek initiatives. Sheri joined Lincoln Property Company in 2000, beginning her career in the multi-family vertical as a Leasing Professional in Dallas, Texas. 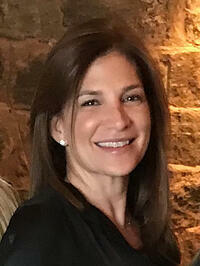 Shortly thereafter, Sheri was promoted to a Regional Marketing Director position for The Village Apartments, Lincoln’s flagship multi-family development of approximately 7,000 apartment units, where she learned the fundamentals of apartment real estate and developed her marketing skillset. 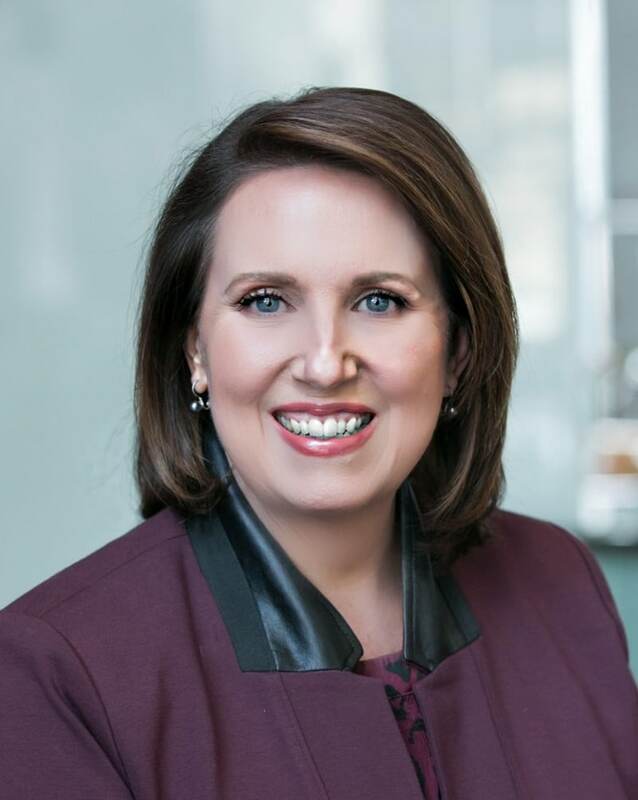 In 2010, Killingsworth was again promoted to National Marketing Manager where she established herself as an expert in the fields of branding, reputation management, and social media and digital marketing. Nearing her five-year tenure as marketing manager, Sheri was selected as the Vice President of Marketing and Communications where her responsibilities encompass all facets of marketing and communications for the conventional division, corporate branding management, and client services. 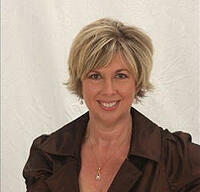 Sheri holds a Bachelor of Arts degree in Public Relations from Texas Tech University. Reichen Kuhl is a graduate of the U.S. Air Force Academy, a nine-year Air Force veteran, graduate of Loyola Law School, and a member of the State Bar of California. After being denied housing in New York City because he did not earn the requisite 80x the monthly rent to live at a property, Reichen co-founded LeaseLock, the first and only nationwide Lease Insurance program. Today he manages the overall business direction of the company. As one of the founding partners of Gelt Inc., Damian Langere has lead the company’s growth from a single $150K four-plex, into over $1.2B in real estate transactions (9K apartment units). Langere's speciality is value add opportunities by enhancing operational efficiencies, and re-branding assets to appeal to the growing millennial renter generation. While working closely with onsite managers to enhance operational efficiencies, Langere realized an opportunity to build a powerful payment technology that could offer financial services to residents living in apartment communities. This idea was developed into Domuso.com, which is one of the fastest growing payment platforms designed specifically for the $540B/year rent payment market. 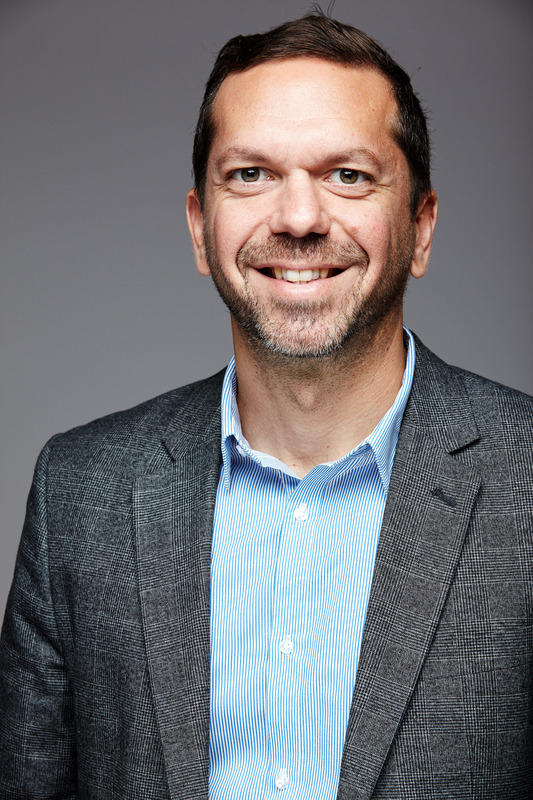 As Domuso's CEO, Langere built the industry’s first electronic certified payment platform for renters, right from the convenience of a mobile phone with all the back office technology owners need and love. Domuso is growing into a formidable brand within the multifamily space and is poised to be a leader for apartments nationwide. 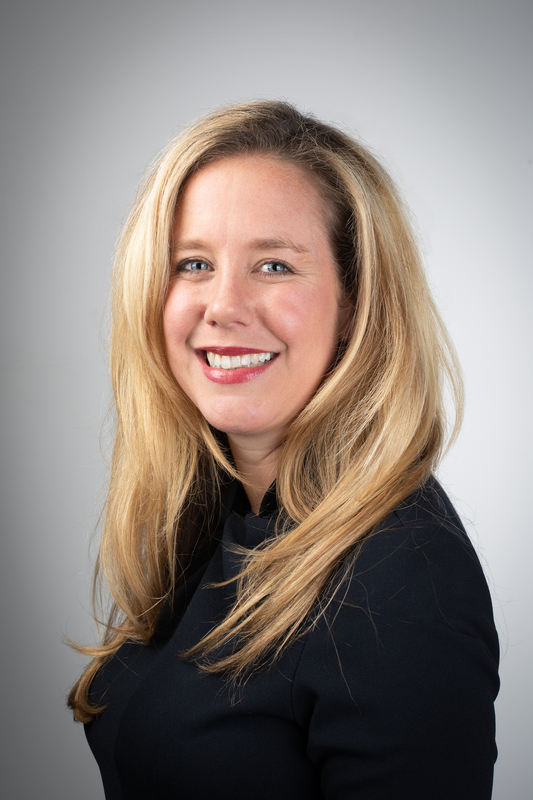 Amy Lassers is a Regional Manager for Embrey Management Services overseeing about 2,000 units in the Denver market, including 4 lease-up communities. Known in the industry as an action-oriented and marketing-minded professional, Amy has worked in the multi-family industry for about 25 years. 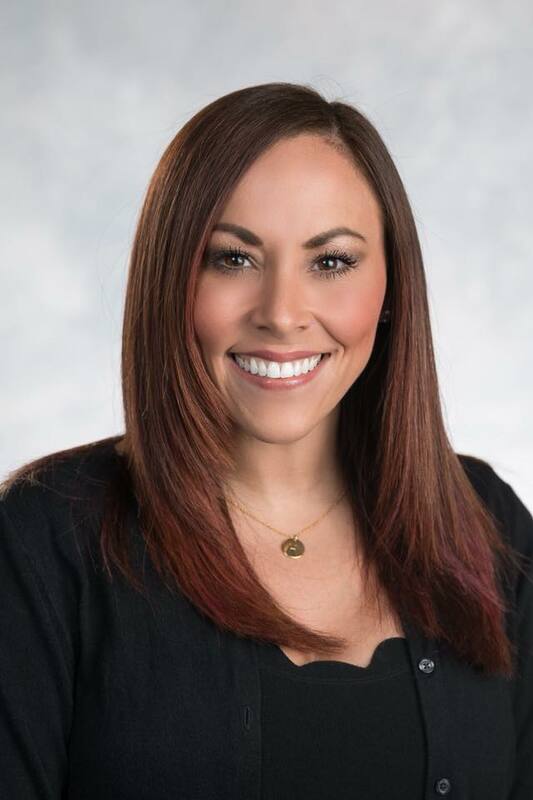 Amy began her property management career in Orange County, CA where she moved through the ranks from Leasing Consultant to Regional Manager, specializing in lease-up properties. She has worked for management companies to include The Irvine Company Apartment Communities, BRE Properties, and BlackRock throughout Orange County, Los Angeles and San Diego. In 2010, the Lassers family relocated to Colorado where Amy continued to hone her leadership skills as Regional Manager for Echelon Property Group, and she has been with Embrey for the past 4 years. Amy prides herself on being a participative leader who motivates, trains, and guides teams with an encouraging demeanor. Amy's motto is "Where there's an Amy, there's a way! ", and she seeks to break down barriers and lead her properties to ultimate financial success through team building, proper marketing, and holding teams accountable to a higher level while having lots of fun! Amy, a native of Toledo, Ohio, enjoys raising her family in the Denver area where she loves the weather and the outdoor activities. Amy has her CAPS designation and is currently working to complete her degree in Organizational Leadership at Brandman University. 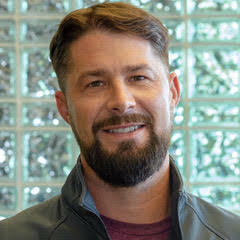 Patrick has worked in the multifamily real estate industry for more than 18 years. He is currently the Director of Development of RENTCafé® at Yardi Systems. Patrick oversees the product, design and engineering teams creating the RENTCafé Suite. Patrick is a problem solver who loves the challenge of turning problems into opportunities and finding the most elegant solutions. Before working on RENTCafé, Patrick developed different product lines for Yardi – most notably the Yardi Voyager® Residential platform and Yardi Payment Processing. Patrick has a BS in Applied Mathematics from UC Santa Barbara. In his spare time, he is active. His boys are serious about soccer and he coaches and plays with them regularly. His ideal day off includes building, planting and beautifying his yard with his wife, followed by an evening of Game of Thrones. Patrick is passionate about cycling, skiing and backpacking when time and weather allows. 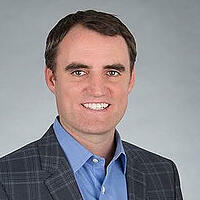 Brock MacLean is Senior Vice President of Business Development at LeaseLabs, a RealPage Company. With over 24 years of experience in the multifamily housing industry, Brock has a proven track record of developing successful marketing solutions, along with a profound understanding of consumer behavior across the multifamily industry. 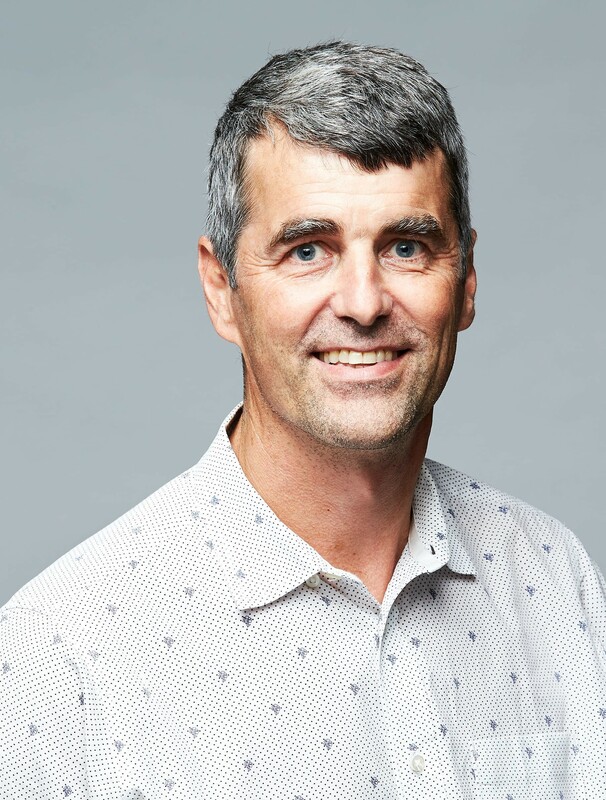 In his role, MacLean focuses on developing strategic connections across the LeaseLabs robust suite of digital marketing applications and the extensive consumer facing products within the RealPage suite of services. He also continues to provide education on consumer trends and next generation marketing strategies through industry speaking engagements and multi-media presentations. 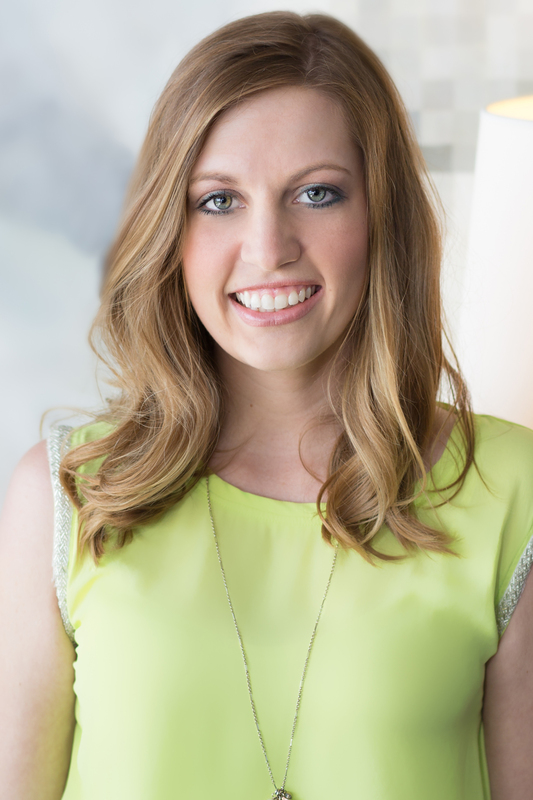 Megan Mahoney started as a leasing professional in 2006 at Post Apartment Homes in Dallas, TX. She then transitioned into a marketing role that supported outreach marketing and resident events throughout Texas for 9 years. She then transitioned into a Regional Marketing Manager role at Monogram Residential trust where she supported the marketing and branding efforts for the West region including Texas, Colorado, Nevada, and California. In 2016, Megan started working at LMC as a Regional Marketing Director overseeing the East region. She currently focuses on brand development, outreach, and digital marketing. 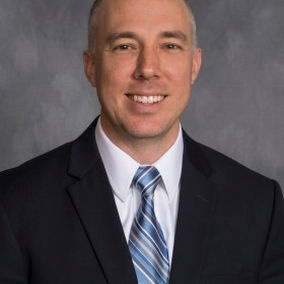 Shawn Mahoney is Senior Vice President, Chief Information Officer and Chief Technology Officer of GID Investment Advisers LLC. GID owns, develops and operates apartments across the country under the Windsor Communities brand. Shawn joined GID in 2000 and has over 35 years of real estate, consulting and finance experience. Shawn is active in a number of real estate technology initiatives and is a frequent contributor at trade industry events. 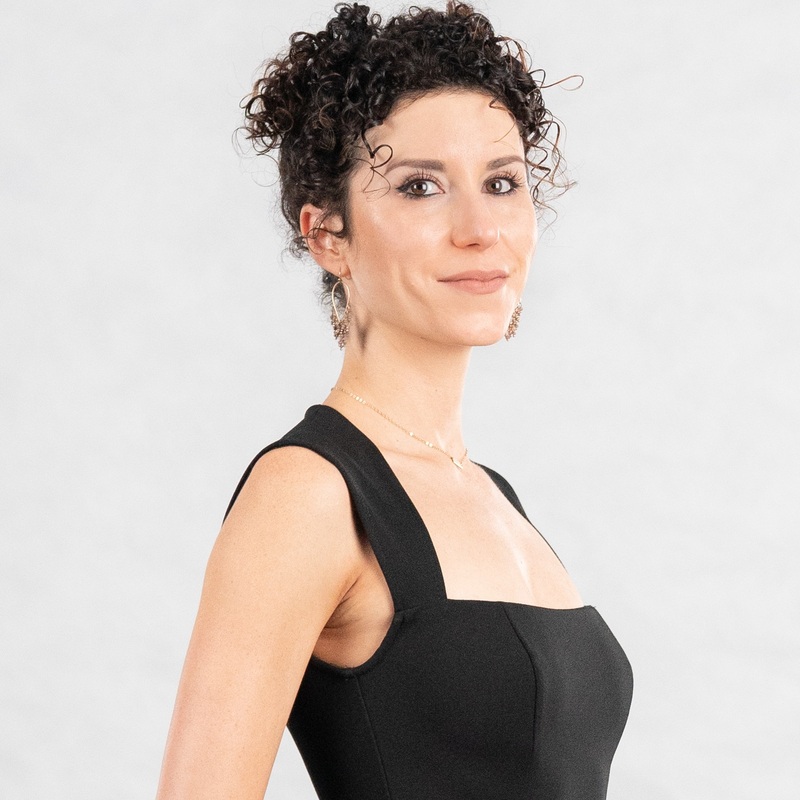 Erina has spent over a decade helping owners, investors, and developers lease up their buildings, maintain stabilization and achieve their revenue goals in some of the hottest markets across the country. Erina was a 2017 ‘One to Watch’ finalist in the NAHB Multifamily Pillars of the Industry Awards and was a 2018 finalist in the ‘Rising Rock Star’ category of the ELEVATE Awards honoring diversity and women’s leadership in commercial real estate. 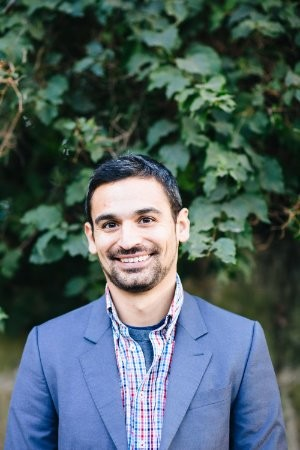 Ben is a co-founder and CEO of Rentgrata. 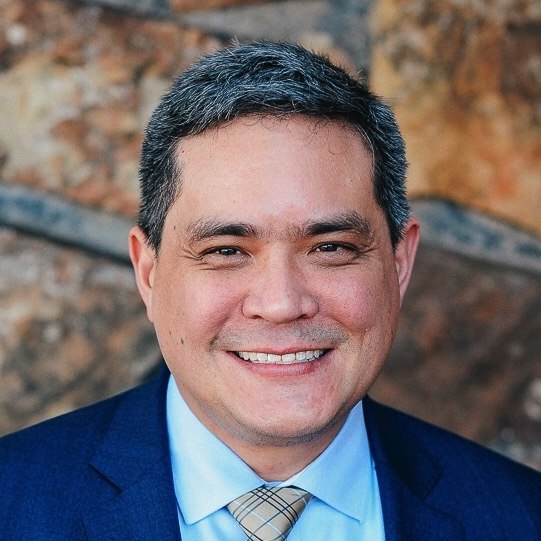 His multifamily journey began as a land development engineer in Dallas, which eventually led to him joining Aimco’s redevelopment finance group in Denver, and then finally their redevelopment management group in Irvine, California. Ben relocated to Chicago in December of 2016 to join his co-founders and launch Rentgrata. 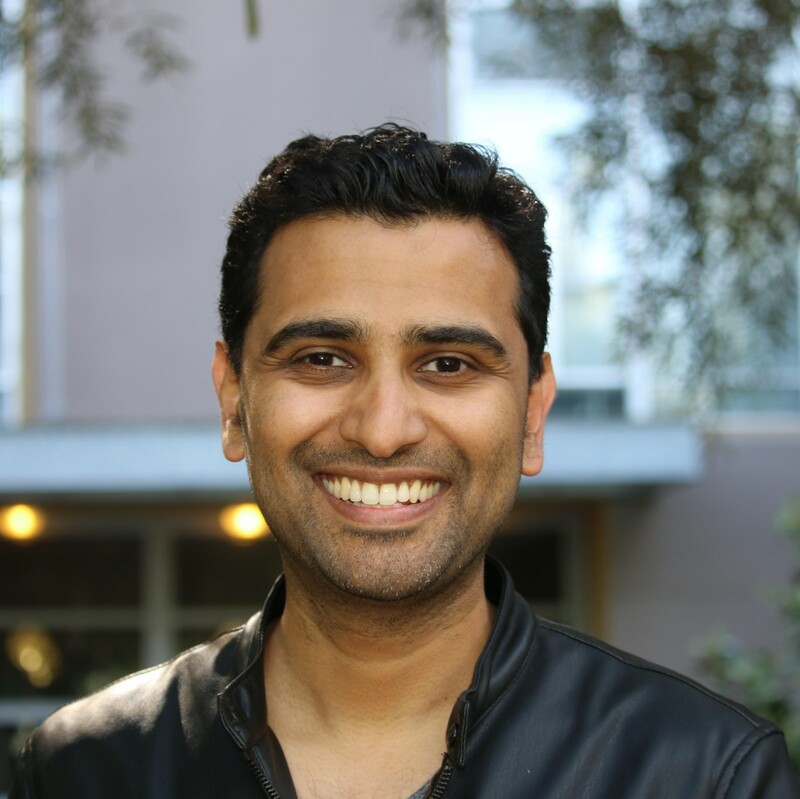 Most of his time at Rentgrata is now spent managing product development, overseeing general business operations, and raising capital. 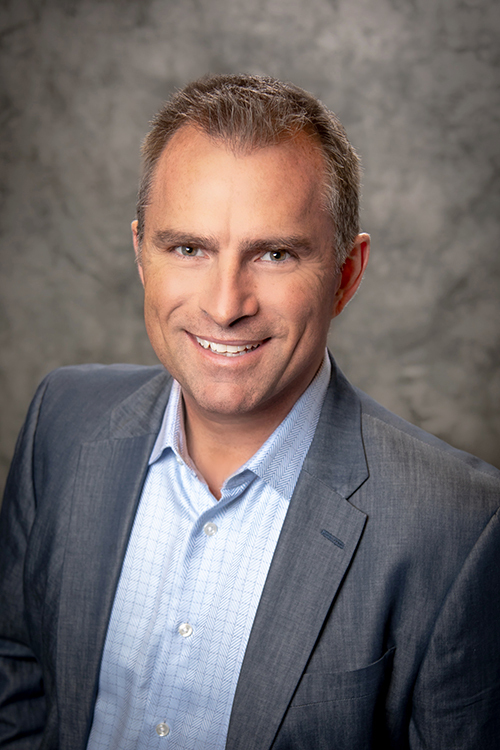 Ashby joined Lyric in 2019 as Vice President of Real Estate, focusing on forging new partnerships and expanding Lyric’s portfolio of real estate assets. 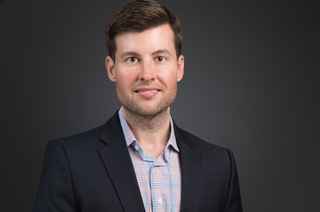 Immediately preceding his move to Lyric, Ashby spent two years at RealtyShares where he was Senior Director of Acquisitions and Vice President of Business Development and Investment Strategy. 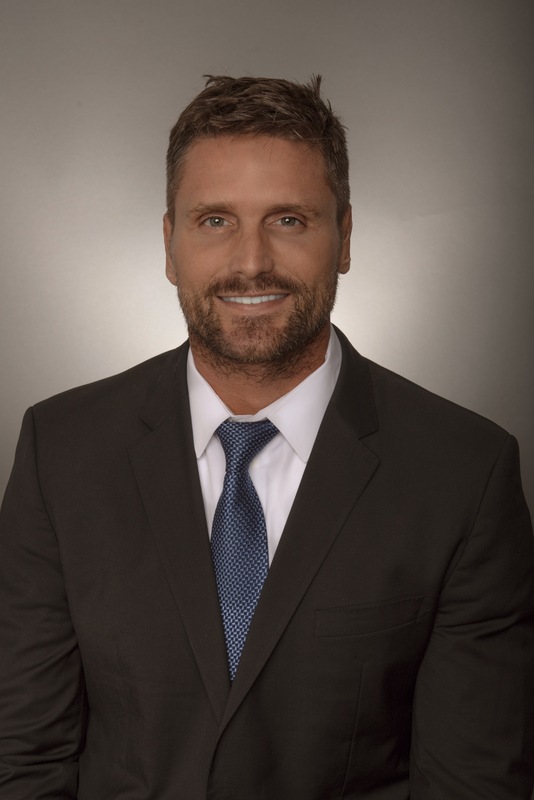 Prior to RealtyShares, Ashby advised leading institutional investors and operating partners as a director of new partnerships, platform investments and programmatic joint ventures, while augmenting the sourcing, underwriting, diligence and execution of new primary, secondary and direct asset investment opportunities. Since 2010, Ashby has worked with various leading investors in the Bay Area, including: Makena Capital Management, Tiedemann Wealth Management, UC Regents, Berkeley Endowment Management Company, Broadreach Capital Partners Shapell Homes and Sansome Pacific Properties. 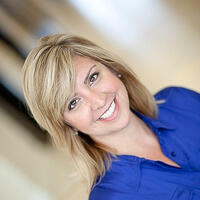 Michelle Moriello is Director of Digital Marketing at WinnResidential. In her 16 years at Winn, Michelle has served in a variety of positions throughout the organization at both the property and corporate level. One of her most significant projects when joining the corporate team was the implementation of the WinnStyle Websites program throughout the entire Residential portfolio. It was through this project that Michelle discovered a passion for leveraging technology. In this role, she works with the OSS marketing team and property operations teams to streamline their marketing related workflow. In addition, she's responsible for developing and executing digital marketing programs including website optimization and other digital marketing activities with a focus on optimization, measurement, and analytics. Michelle also supports new business and client retention activities by overseeing the Customer Relationship Management (CRM) application, the Request for Proposal (RFP) library, and the corporate and property-specific websites. Michelle received her Bachelor's of Arts from Allegheny College and holds the National Apartment Association's (NAA) Certified Apartment Manager (CAM) designation. Sankarshan Murthy has made a living building products of the future. 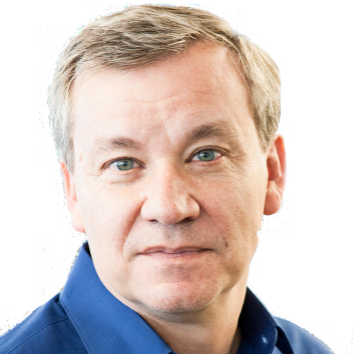 He was Innovations Lead at the hardware manufacturer DeWalt for six years before leaving to join Apple in 2012. He worked on the iPhone before becoming product manager of the Apple Watch. He left Apple last year and joined Tesla as a Staff Product Technologist. He recently started his own company, called Bumblebee Spaces, which uses robotics and AI to make more efficient living spaces. 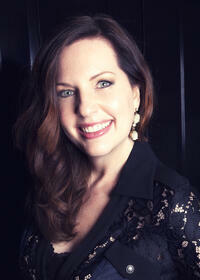 Katie Nelson is the Director of Marketing for CAPREIT out of Rockville, MD. Katie directly oversees the marketing strategy for CAPREIT's portfolio which includes conventional apartment communities, affordable housing, and senior housing. She has a strong understanding of project management, lease-up marketing, budgeting, lead management, branding and design, content creation, and SEO/SEM. Steven has a strong passion for applying technology to marketing and enjoys introducing fresh ideas to revive underperforming campaigns. This fusion of creative and technology brainpower has been a catalyst to Steven’s approach to innovative, out of the box and award-winning design and websites projects in the multifamily housing industry over the past 10 years. Outside of the office Steven’s interests include spending time with his family, kayaking, paddle boarding and farm-to-table dining. 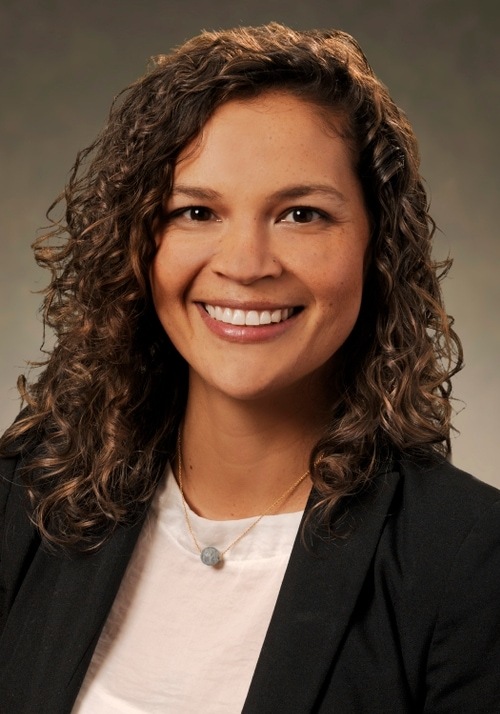 Courtney Patterson is currently responsible for the successful marketing of assets and oversite of Greystar’s Regional Marketing Team in the Triangle MSA. Courtney joined Greystar in 2014 and she has broad multifamily experience in management, both onsite and at a regional marketing level including conventional and student communities. 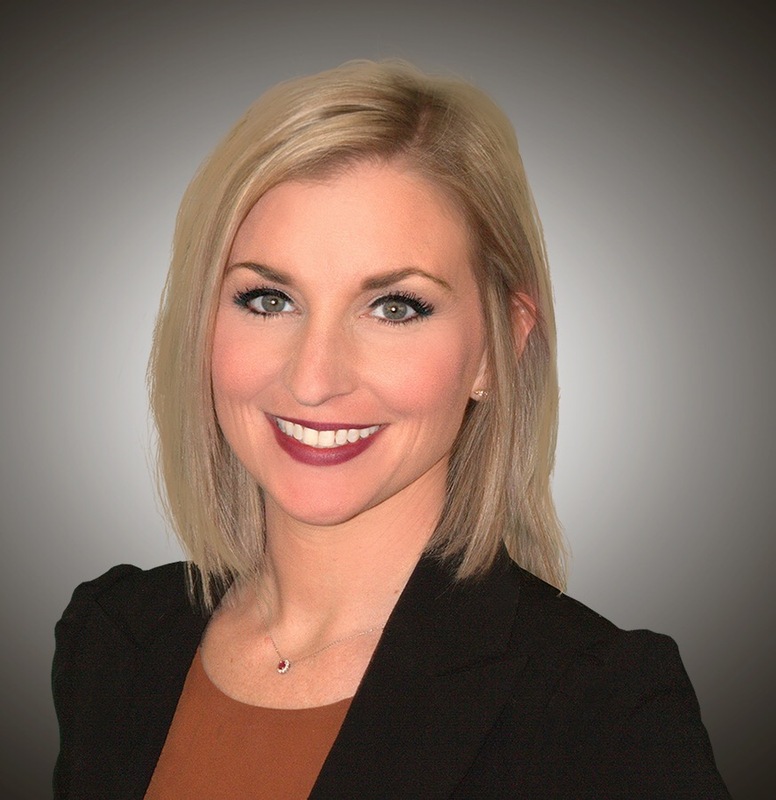 Currently, Courtney oversees a portfolio of 60 properties/ over 14,000 units as a Marketing Manager for Southeast Greystar’s Regional Marketing Team. During her tenure she oversaw a variety of assets including lease-up, high-rise, mid-rise, mixed use, garden and value add. Mrs. Patterson previously gained her marketing experience at WNCT-TV where she was the Marketing Director from 2006- 2009. Courtney graduated from the University of North Carolina Wilmington with a Bachelor’s Degree in Communication in 2006. Morgan Porter is a 13-year multifamily veteran and Digital Growth Hacker. She specializes in multitouch data analysis, A/B testing and evolving digital technology trends. Morgan has extensive experience both in developing and managing website architecture, Technical SEO, Search Engine Marketing Initiatives, Market Research and Social Optimization. 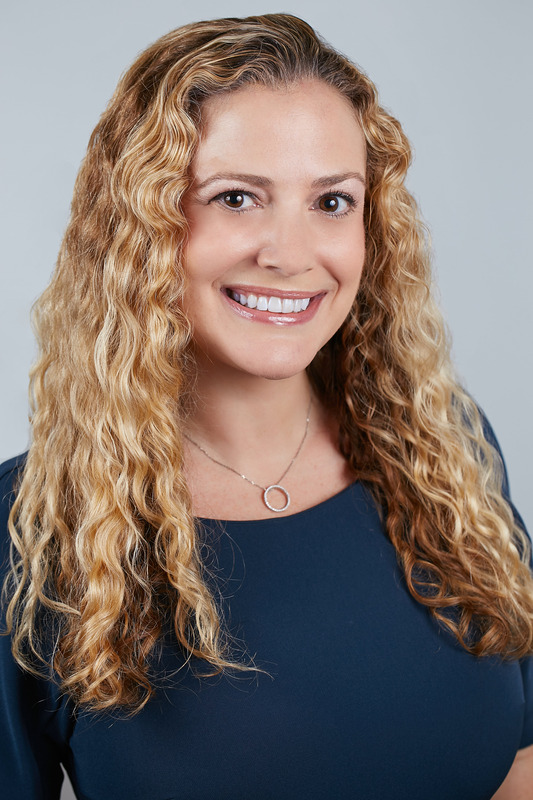 In her current role at LMC, she leads the digital marketing initiatives and growth strategy for LMC, a leader in the development of luxury rental communities nationwide. Mr. Ramirez is a general partner at Nine Four Ventures, where is responsible for deal sourcing, diligence, and firm operations. Nine Four Ventures invests in growing technology companies impacting the built world and creates a verticalized investment structure alongside the Laramar Group whereby Nine Four can invest capital in portfolio companies, and the Laramar Group can provide an organic customer-base (through owned and managed assets), strategic guidance, and pilot opportunities. 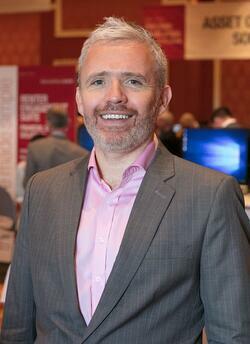 Dan strives to transform complexity into streamlined user experiences. He has spent his career practicing product strategy, design, development and management. He currently is VP Product for the CoStar Group, Apartments.com. 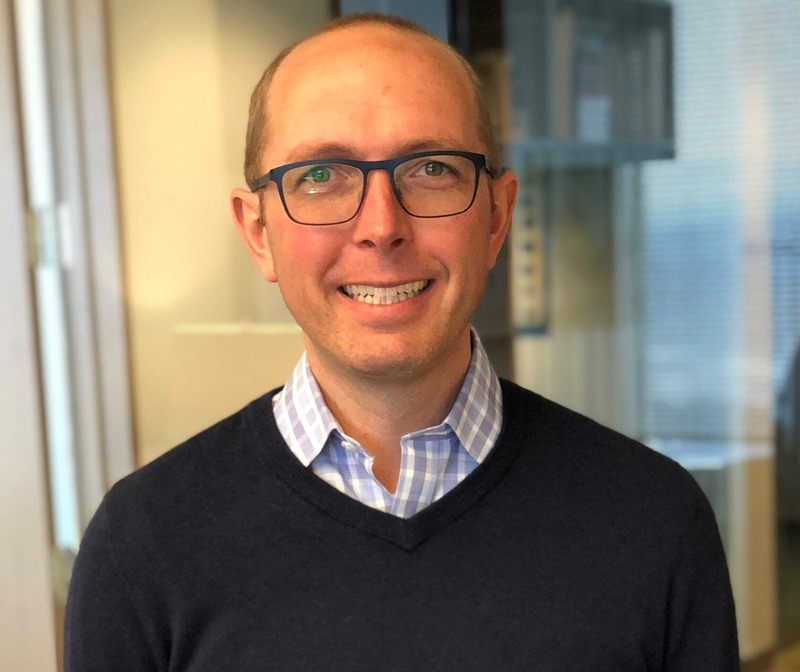 Prior to CoStar, Dan spent close to 15 years building product startups including hospitality software, marketing analytics software, and high-tech security hardware and software. Dan found his passion in new product development during his MBA studies at MIT Sloan School of Management and the MIT Media Lab. 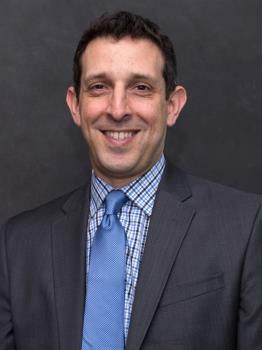 Before his MBA, he studied Business and Computer Information Systems at The University of Michigan and spent 8 years doing software strategy and design for Deloitte Consulting. Dan’s favorite thing to do, when not with his family or at work, is to spend time in his woodworking shop. 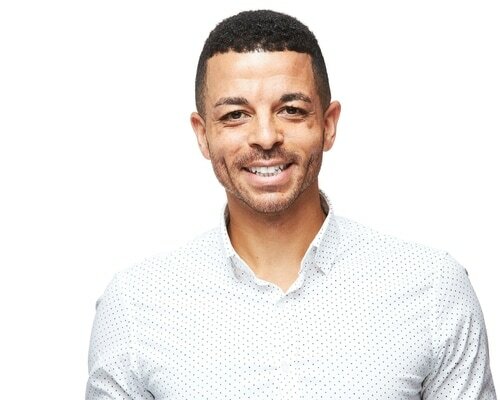 Andre Jordan Sanchez is the Vice President of Operations at Rently, the self-showing & touring technology platform used by millions of renters nationwide. Andre started his PropTech career in a totally unrelated field...cancer diagnostic research and development. Growing tired of the lab environment, Andre started a role in business sales at Apple and realized his passion for technology. After learning about Rently, Andre joined the team and helped start the Enterprise IoT Division of Rently, Rently Keyless (2015) as well as the Oaks IoT hardware division (2018). 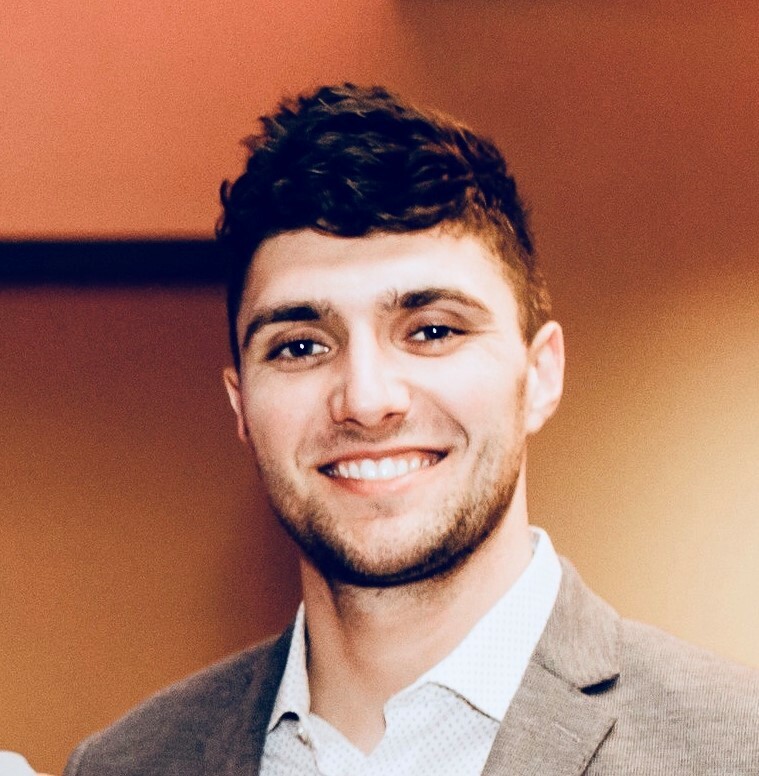 Now Andre works with the 100+ Rently employees globally to position IoT, AI and self-showing technology to single-family and multifamily operators across the nation. Andre has a Bachelors of Science in Pharmacology from the University of California, Santa Barbara, an MBA from UMass Boston and Executive Education in Operations from MIT. Valerie M. Sargent is President of Yvette Poole & Associates. A skilled Speaker, Emotional Intelligence (EQ) Certified Trainer, Executive Consultant, Investor and Multifamily Expert, Valerie specializes in Leasing, Sales, Marketing, Customer Service, EQ and Leadership. Her Level 1 & 2 TalentSmart Emotional Intelligence certification has her taking companies’ teamwork, culture and communication to inspiring new levels. After over 27 years in Multifamily, this expert knows how to bring vitality to individuals and organizations. A former newspaper editor, consultant, and director of marketing in the high-tech industry, Samuel Scott is now a professional marketing keynote speaker as well as the writer of The Promotion Fix column for the global marketing magazine The Drum. 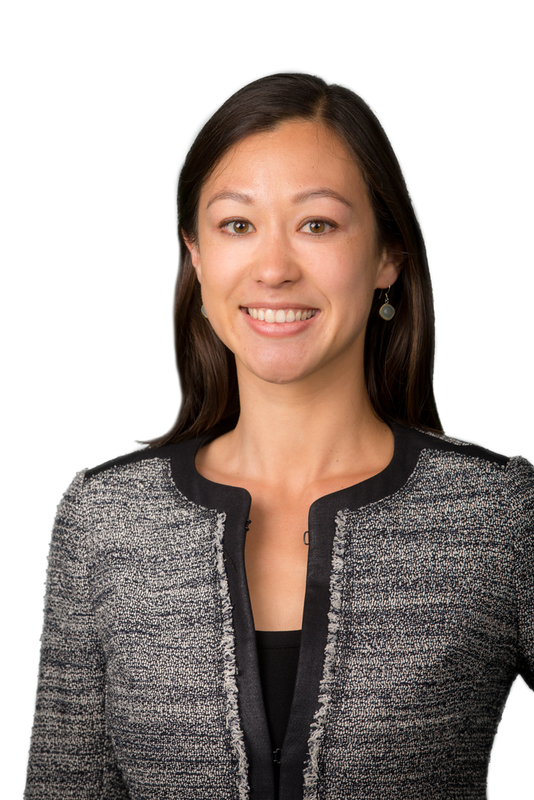 Ms. Trapp is responsible for Sequoia’s investment activities, from on-boarding equity, capital allocation, acquisition, and stabilization. She originally joined Sequoia in 2007. 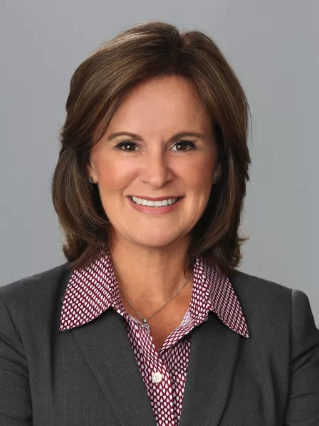 Throughout her career, she has been responsible for numerous activities including portfolio operations vis a vis marketing, business technology, investor relations, and revenue management in addition to asset management and acquisitions. Ms. Trapp has been directly involved in developing the investment thesis, proforma, procurement and business planning of more than $2B of real estate across the country. 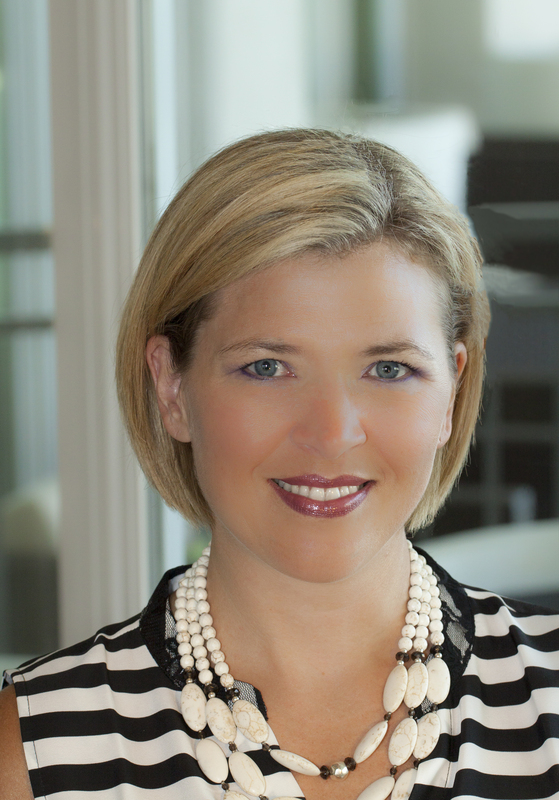 Prior to re-joining Sequoia, Ms. Trapp was Vice President of Marketing at CWS Apartment Homes in Austin, Texas. She received a Bachelor of Science Degree in Communications and has served on numerous industry boards; to include, the Rental Housing Association and the National Apartment Association’s Global Outreach and Communications Advisory Board. Ms. Trapp is a member of the Urban Land Institute, National Association of Real Estate Investment Trusts, and holds a real estate license in the State of California. Robert Turnbull has been in the Multifamily Industry for 20+ years. He’s in his happy-place when building a business, technology or solution starting with ApartmentGuide.com in 1999. He later helped start and/or grow other well-known Multifamily businesses such as Rentals.com, RentWiki/RentAdvisor (which sold to ApartmentList) and most recently co-founded BetterBot.ai. He lives in Atlanta and has partnered with and mentored many start-up technologies through the Georgia Tech Innovation Institute (ATDC) and the Atlanta Tech Village (ATV) among others. Kim Walker is a Partner and CMO of Niido. Kim began her career in the hospitality industry at the front desk of New York City's original boutique hotel, Morgans. Her innate understanding of service guided her through various positions and within two years, Walker found herself working directly with Morgans Hotel Group founder Ian Schrager. Kim opened 13 hotels for Morgans Hotel Group in the U.S. and abroad as CMO. In 2014, Kim opened SIDEWORK, a boutique creative agency which specialized in Brand Development and Marketing for companies such as Ian Schrager Company, Sixty Hotels, Arlo, and The Asbury. In 2017, Kim returned to Ian Schrager to oversee the brand, marketing, public relations, and special event efforts of his new hotel brand PUBLIC. Kim is driven by her passion for preserving core brand DNA while always looking to see what else might be possible for a brand. Kim graduated from Boston University with a major in Finance and a minor in Hospitality. She was born and raised in Miami, where she currently resides with her two children. 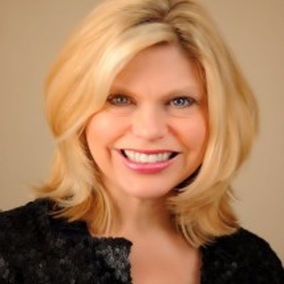 Lori is Owner and CMO of Property Playbook; a marketing consulting company. She has been in the Multifamily Industry for over 10 years and has overseen over 90+ lease ups and hundreds of stabilized projects as a Director of Marketing for great companies including Wood Partners, Riverstone and LMC. She is a regular speaker at Industry conferences- AIM, NMHC, NAA and Apartment Association Education Sessions. She is exceptionally passionate in trends that will innovate and pioneer our Industry forward. She is a guest writer and blogger for Multifamily Insiders, and Apartminty and has been highlighted in Units Magazine and Apartment Therapy for onsite achievements. Lori holds a NC Broker In Charge license. She and her husband own Kivett Station, a 48 bed townhome community at Campbell University; Spiaggia Beach House and over 16 Single Family Homes. In his newest role as the Director of Innovation Services at BH Management Services, LLC. 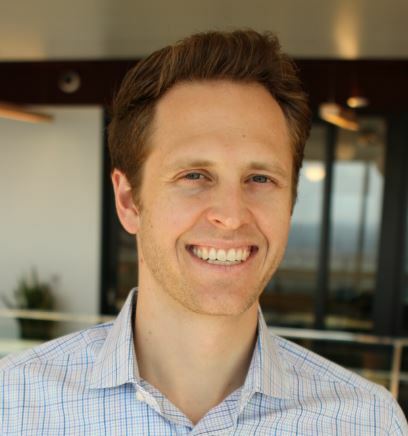 One of the top ten multifamily managers, Taylor Wiederkehr and his team are responsible for driving innovative projects & research, the vetting and piloting of new and emerging technologies, while continuing to drive productive collaboration between emerging technology start-ups and fortune 100 companies. 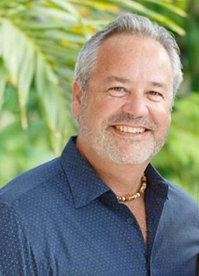 Prior to BH, his introduction to the multifamily industry took place at Alliance Residential Company another top ten multifamily manager, where he spent nearly two years serving as the leader of the ARC Innovations Team. During his tenure at Alliance, his team was publicly recognized for successfully negotiating and announcing a unique partnership between Alliance, Google, Nest, and Dwelo, to deploy 25,000 Newly Developed Smart Apartments across the nation, the largest smart home technology adoption ever conceived before that time. Prior to multifamily while in college pursuing a BS degree in Computer Information Systems from Tarleton State University, Taylor established himself as an accomplished entrepreneur selling his first technology company EET a subsidiary of Eagle Eye Advertising in August of 2013. During the remainder of his college career, Taylor was granted the opportunity to contribute to Ford Motor Company’s National Grassroots Marketing Initiative by successfully designing and coordinating the national implementation of what is still considered to be the standard for how Ford captures, manages, and distributes consumer information to its network of dealerships nationwide. Elaine is an industry expert, masterful in leveraging technology with an operator viewpoint. Her firm provides consulting services that create and design new products for the multifamily industry that provide competitive advantages and improved operating performance. Along with proven best practices, she guides organizations with solutions or strategies to meet the evolving business demands and to elevate profitability. Elaine attained her successful operator knowledge as VP of Operations with UDR, AIMCO and other national organizations.